Hi everyone! I was fascinated by one of your class blog posts because it showed you had been learning about one of my favourite topics, Volcanoes in Science. I thought I would send a few small samples from my visits to volcanoes in New Zealand and Hawaii some time ago. I'll also share some new video clips from my video library. 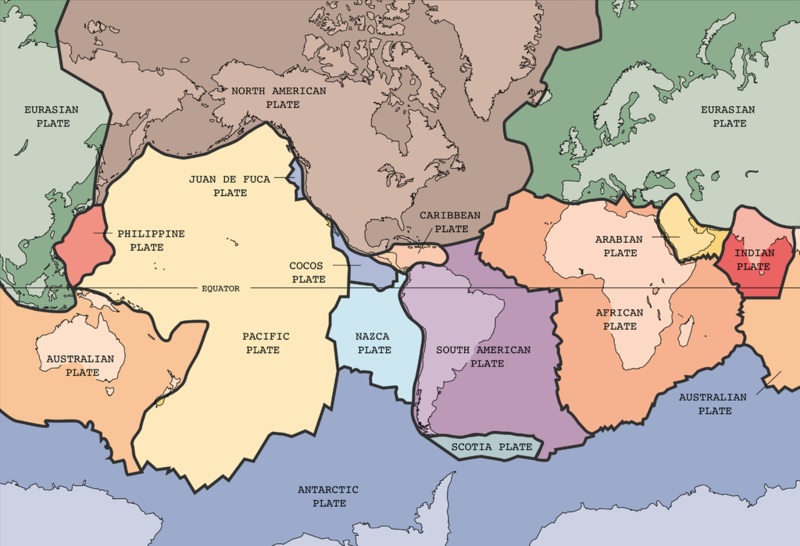 Many of the world's volcanoes formed along tectonic plate borders. These "plates" are large areas of our world's solid surface floating on the molten magma layers below. It's a little like ships floating on the sea. You can see Australia lies on its own plate but New Zealand is on the border between the Pacific and Australian plates. New Zealand and its volcanoes are formed over the the tectonic plate border but can you see Hawaii? 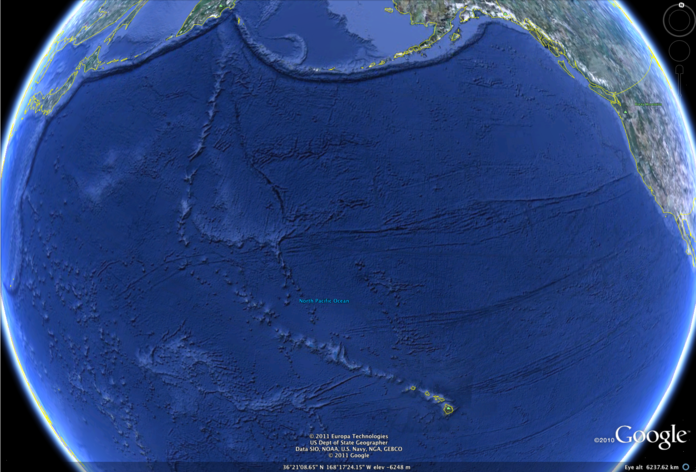 Its a small mark on the map in the upper middle of the Pacific Plate (yellow). Hawaii formed over what is known as a hot spot. On these spots, it's thought the magma underneath the plate is particularly hot. As the Pacific Plate moves very slowly over the hot spot, new volcanoes start to build. Old ones erode back into the sea. Below is an image from Google Earth. You can see the Hawaiian Islands near the bottom. Can you see the line of old volcanoes now below the ocean moving up to the left? 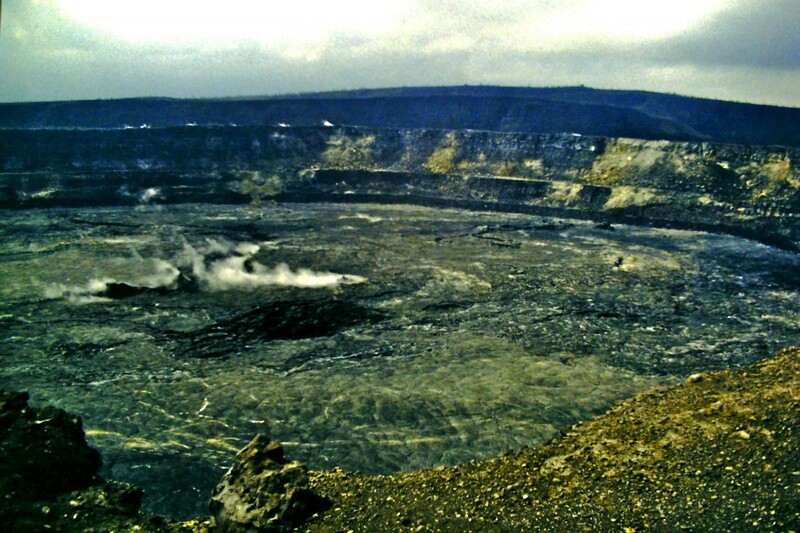 Hawaii is a collection of old and newer volcanoes. There is thought to be a much newer one forming below the ocean about 30 kilometres off the Big Island of Hawaii in an area known as the Lö'ihi Seamount. Don't expect it to be above the ocean surface anytime soon. While it rises about 3000 metres above the ocean floor, it still has over 900 metres to go before it reaches the surface. Aren't volcanoes interesting? 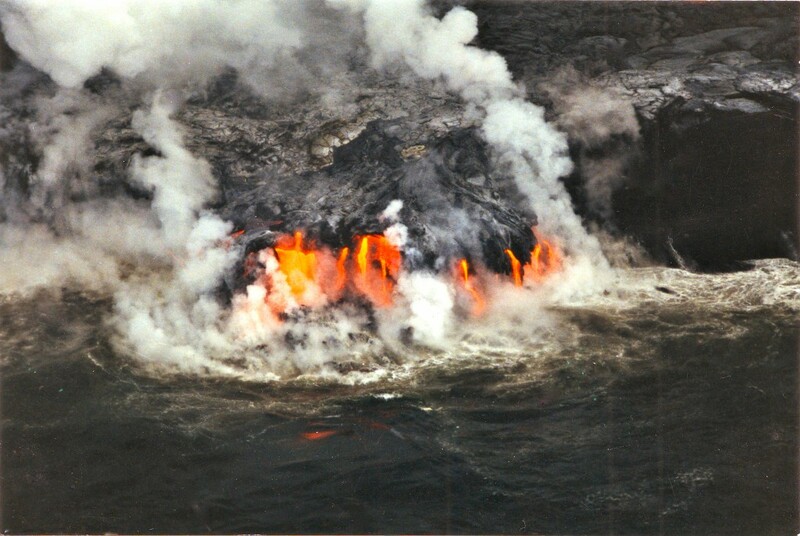 While there in 1996, I learned Hawaiians talk of two types of lava. They are Aa and Pahoehoe. Aa (ʻAʻā) - These stones are hard and have sharp edges. 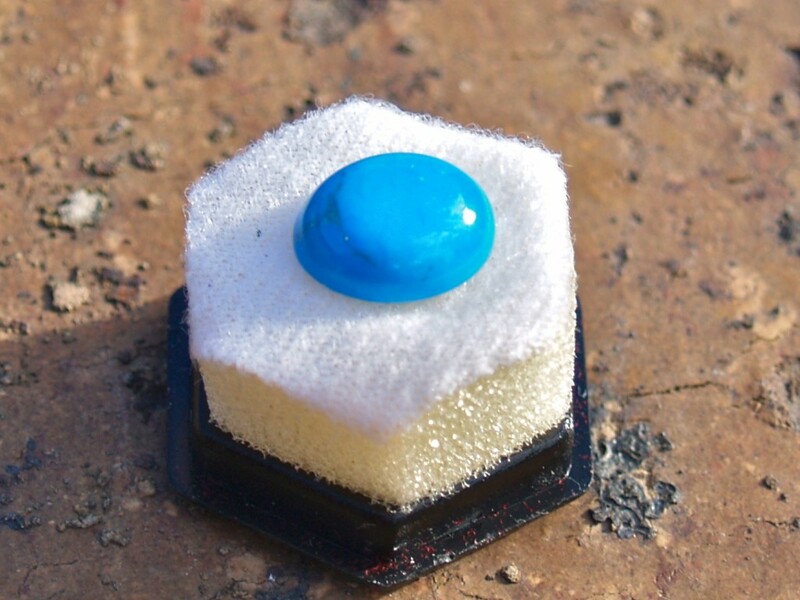 Your samples are only small but they can be much larger. I don't know why but perhaps Hawaiians named it this because of the sound you make when you try to walk on it in bare feet when it has cooled. This basalt lava is cooler as it flows and is rubbly on its surface and edges. 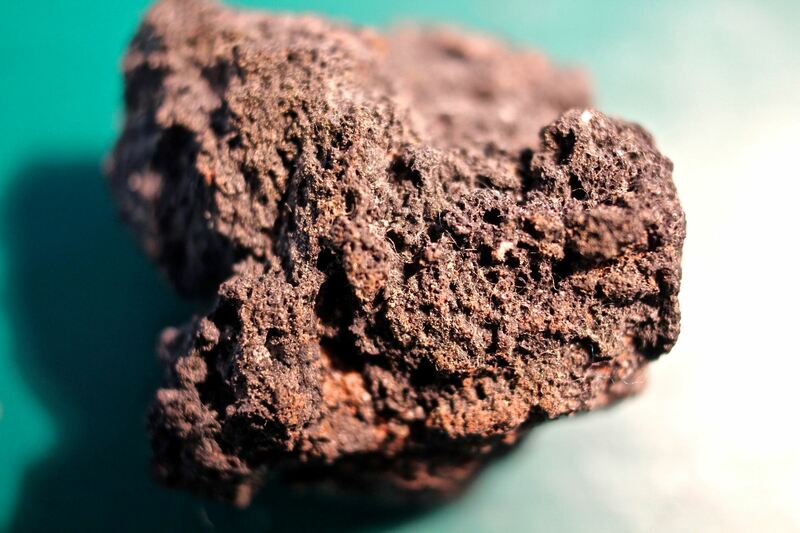 Pahoehoe - Is a smoother basaltic lava that flows more like cool honey does when it flows. Your sample was from an active flow of lava I saw on my visit. It tends to break down into a black sand when crushed or stepped on. In my video library, I have a video clip to show a pahoehoe flow. My cameras weren't up to it back then so I had to buy this clip. It has been speeded up because its flow can be quite slow. This clip is not to be copied or linked in any form. It was a royalty-free purchase through Videoblocks.com. While in Hawaii, I watched lava pouring into the sea. I have another video clip from Videoblocks showing the lava entering the sea and being hit by waves. The seawater boils and gives off steam as the lava hits. Scree - Scree is broken bits of rocks which can be found at bottoms of cliffs or around volcanoes. It isn't Aa lava. 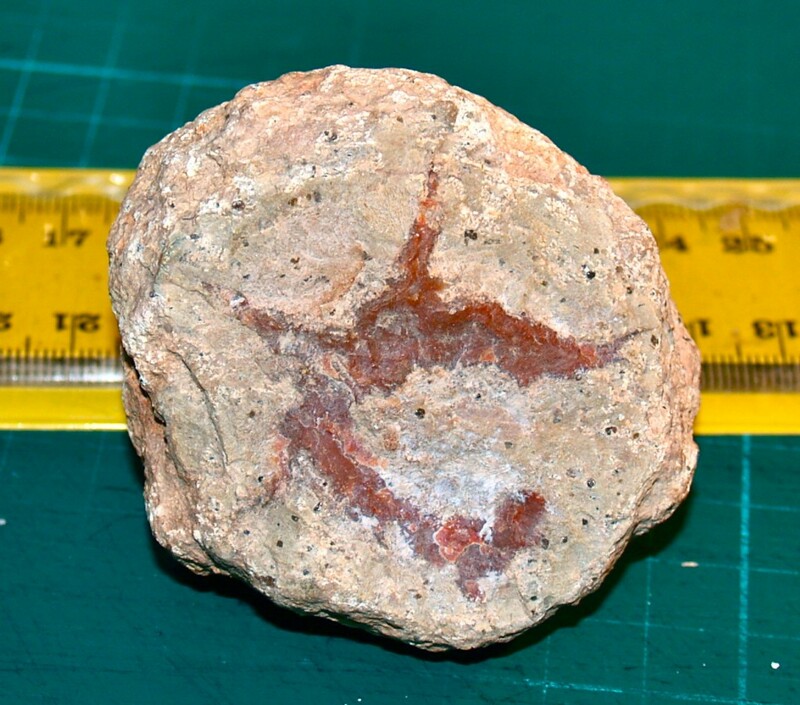 Your samples come from the Mt Tarawera area of New Zealand and were mostly formed during a major eruption in 1886. If you visit Mt. 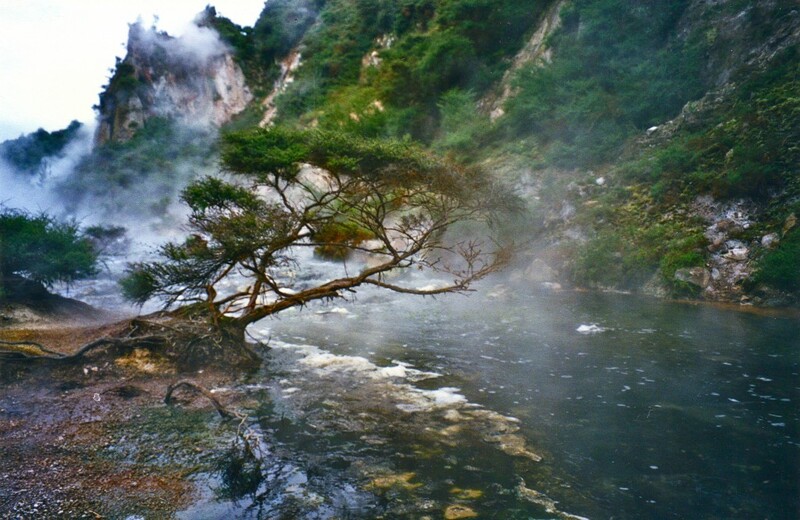 Tarawera near Rotorua, you can walk into its crater on guided tours. This includes walking down a huge scree slope. The arrow points to a group of people near the way down into the crater. This gives you an idea of just how deep the crater is. I found it easy enough to walk down the steep slope by taking very big steps down. The slope is made of scree. 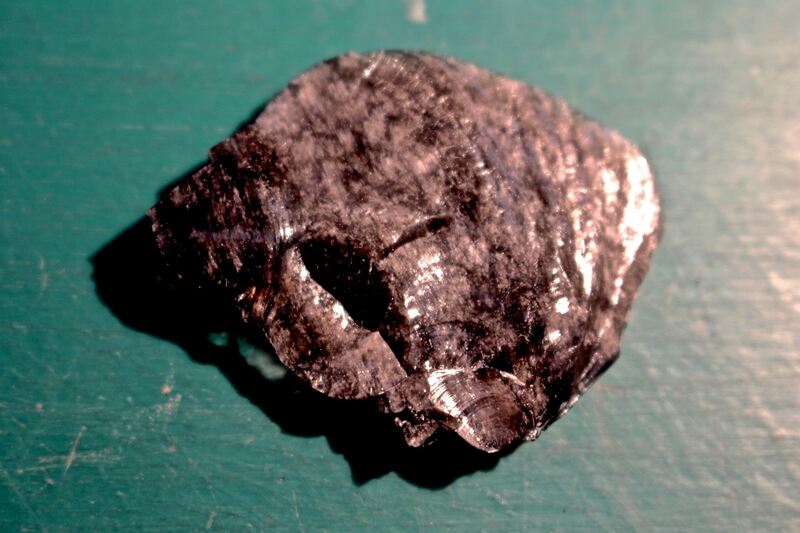 Obsidian - Obsidian is also known as volcanic glass. It forms when lava high in silica (like sand used to make the glass in your windows) cools quickly. 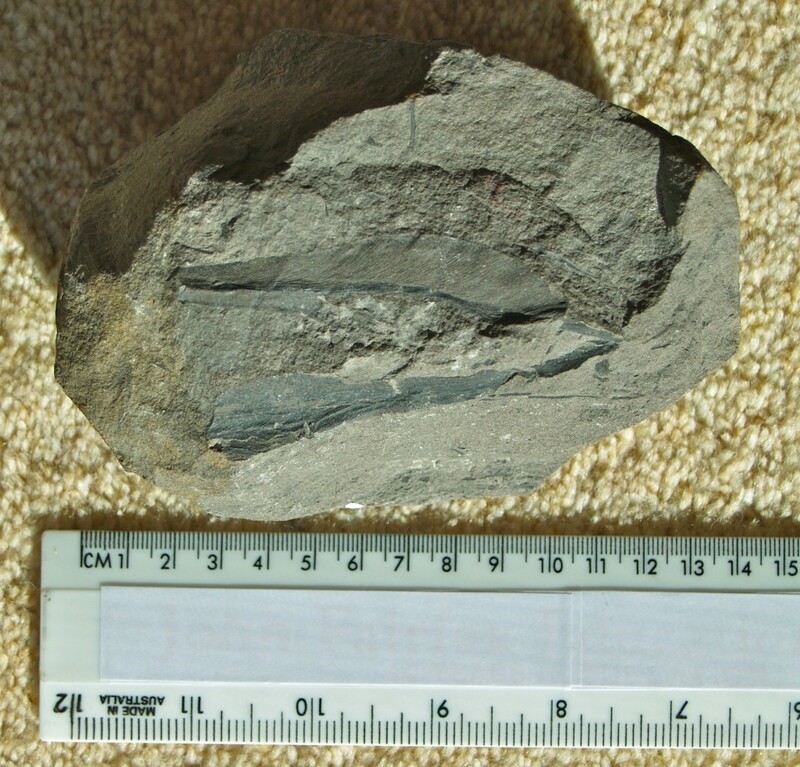 While obsidian can be found in the Mt tarawera area, the area is protected so I bought my large sample in a rock shop. Your sample was broken off mine and has sharp edges. 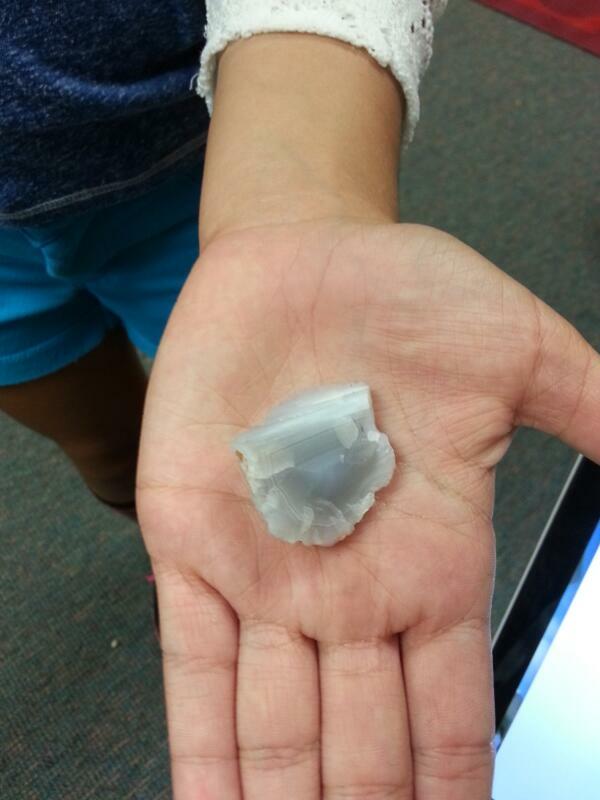 Can you see why some traditional cultures have used it to make knives, arrow heads and spear heads? 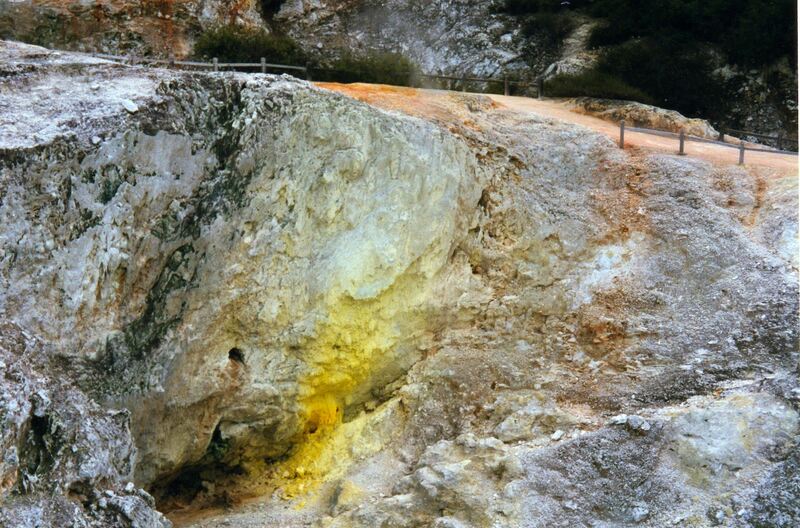 Sulphur - Sulphur can often be found around fumaroles. These fumaroles release gases from below including sulphur dioxide and hyrdogen sulphide. 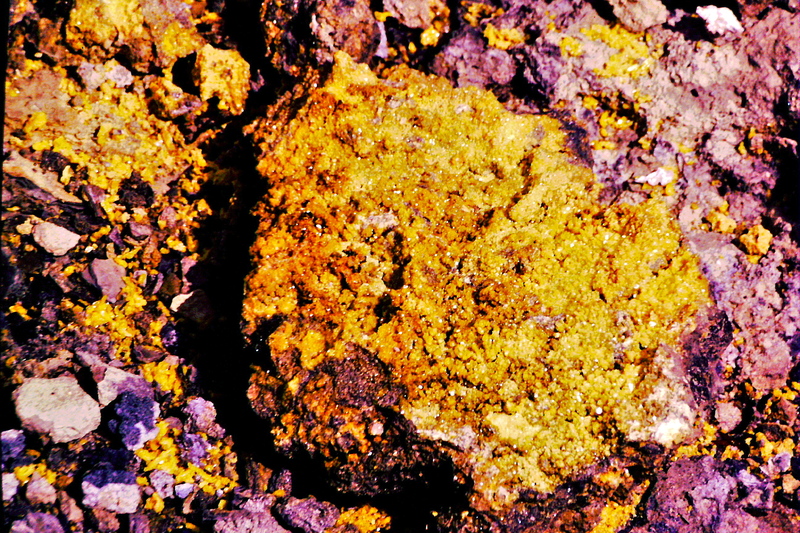 Sulphur can crystalise around the fumerole. Your sample is a small piece of New Zealand sulphur. 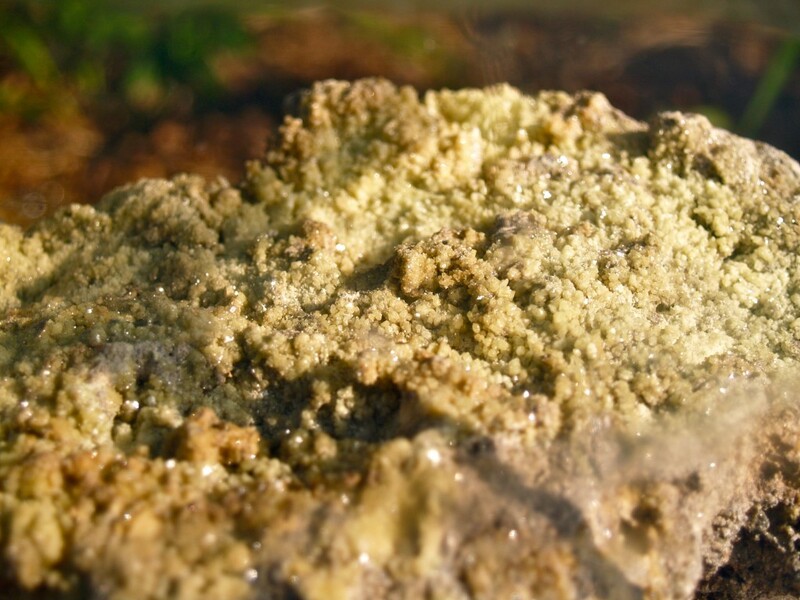 Below is a photo showing yellow sulphur on the rocks. 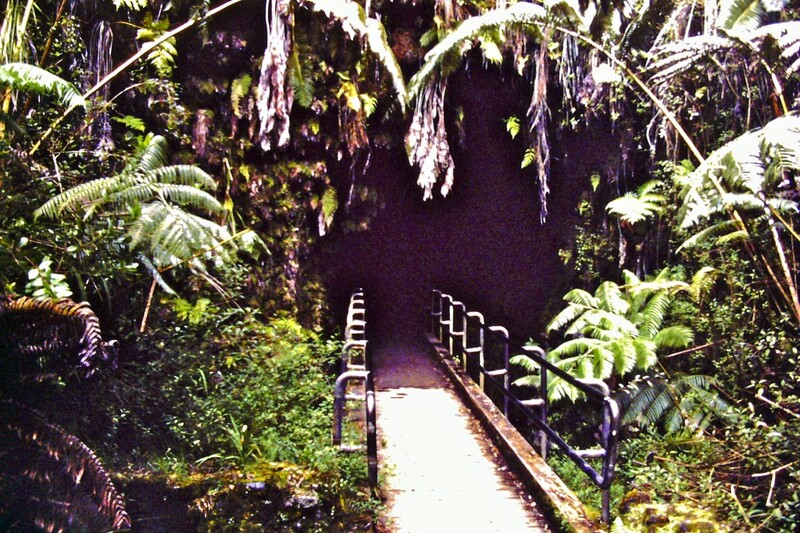 It was made by gases escaping the small cave at New Zealand's Orakei Korako Thermal Area. Iron Sand - Iron sand is mostly iron and was deposited along New Zealand's coast by volcanic activity about 2.3 million years ago according to New Zealand Steel's webpage. I used this sand in class science lessons with magnets. Unlike iron filings, the iron sand doesn't get rusty but works just as well with magnets as iron filings. I collected the sample in the Awakino area of New Zealand's North Island back in 1975. Can you imagine a beach made of this sand? On a hot summer day it can burn your feet if you walk on it. It becomes much hotter than the sands we know. Where I visited, a small stream of water cooled the sand enough to walk on. Volcanic Sands - My first visit to New Zealand was back in 1975. 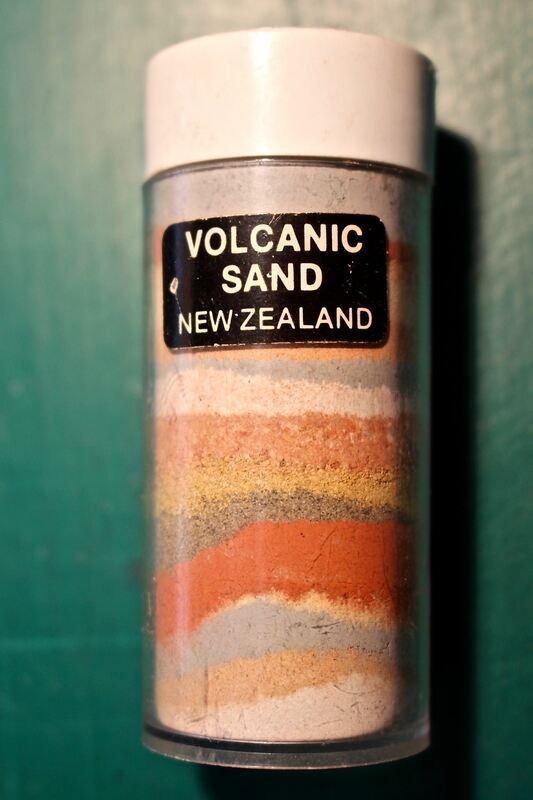 While there I bought a tube of coloured volcanic sands from the Rotorua area. I thought you might like to have this 42 year old souvenir so you can see the colours of volcanic areas. The colours would be caused by different minerals in the sands. Pumice - I've included a piece of pumice found on a local beach. I know you have learned about pumice. 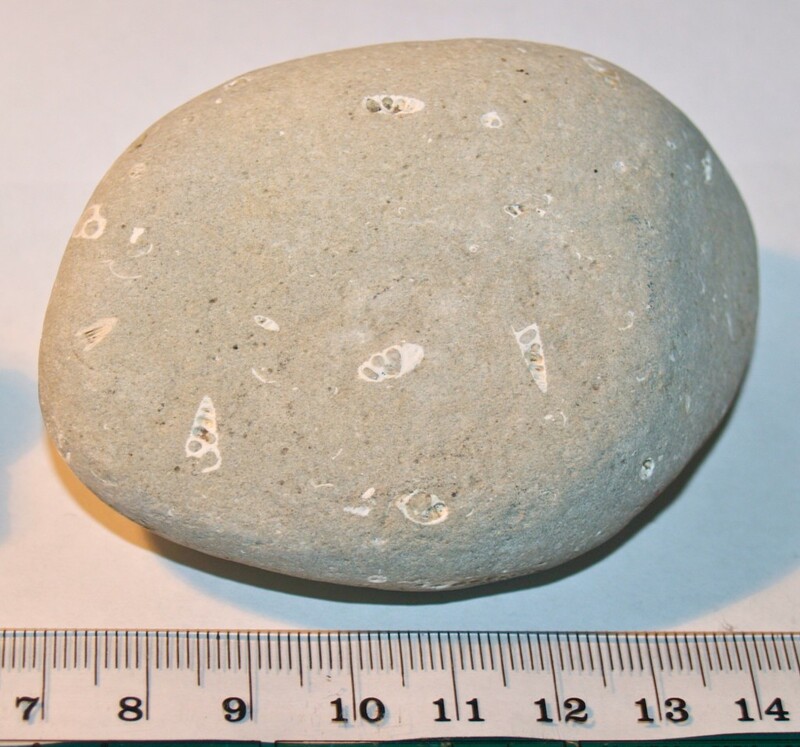 We have had many pumice stones wash up on our beaches lately, some pieces bigger than your fist. 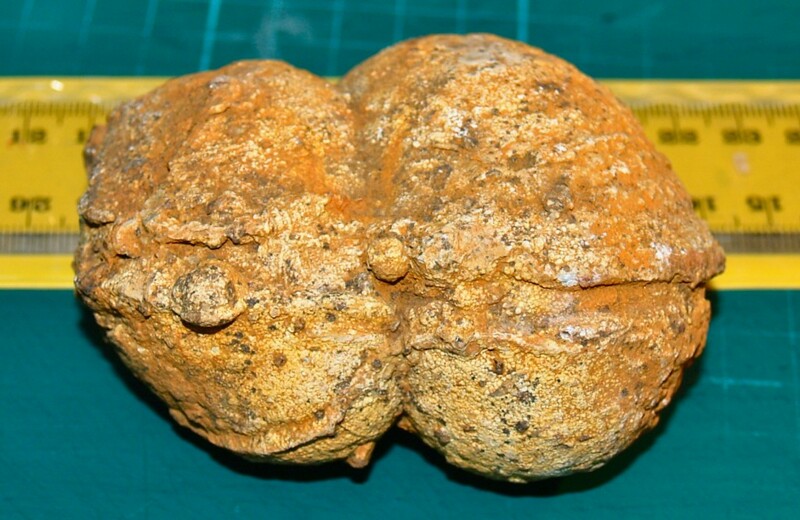 Because it can float, if pumice explodes out of underwater volcanoes, it can form "floats" of pumice. Some of these floats can be on the ocean for years and become home to many marine animals before they reach a shore. 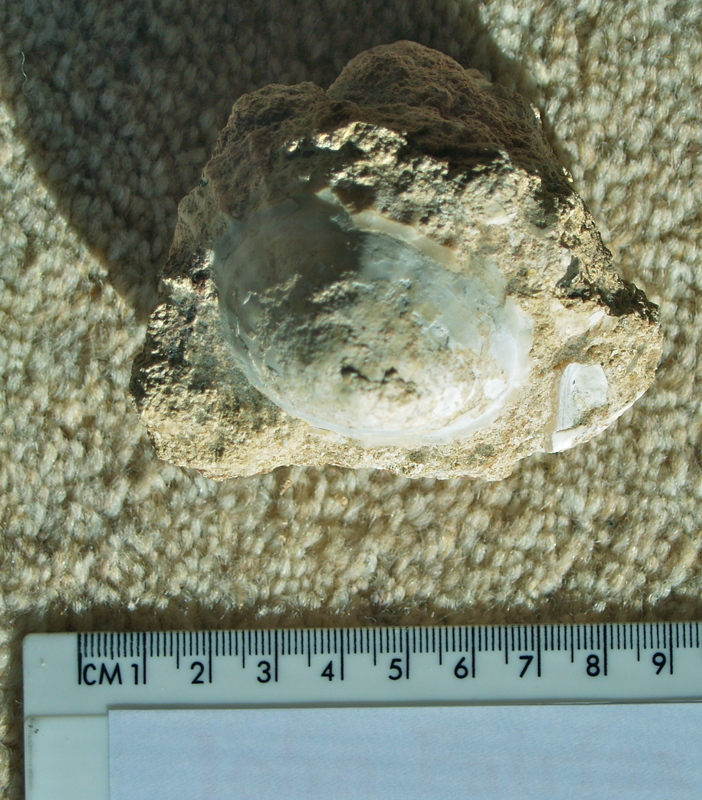 The sample could have come from a 2012 eruption of an underwater volcano near New Zealand. I like to go hiking in the national parks and nature reserves in my area. 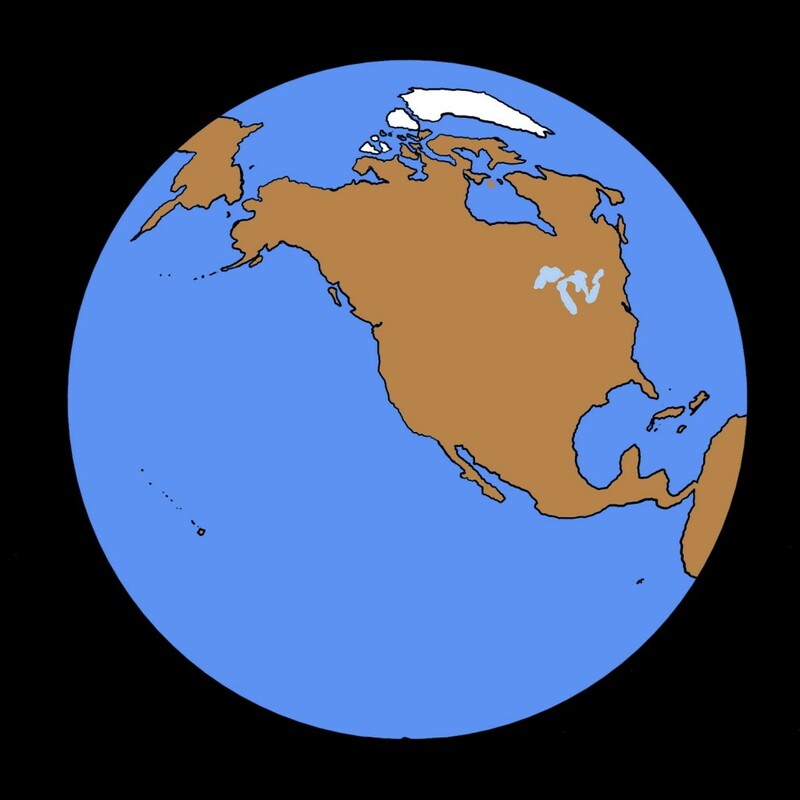 I find plenty of evidence my area once had its own volcanoes but that was 360 to 380 million years ago in an era known as Devonian, also known as the "Age of Fish". 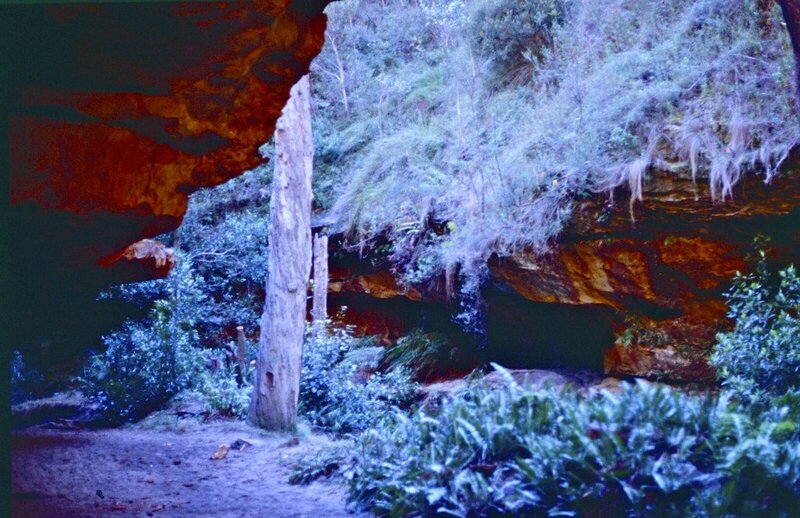 The photo below was one I took while in Ben Boyd National Park in an area known as Boyd's Tower. The greyish-brown rock is heavily folded (curved and bent) sandstone. The red rock is siltstone made from fine ash from volcanoes settling over the sandstones. The deposits are around 360 million years old according to a National Parks sign near where I stood. 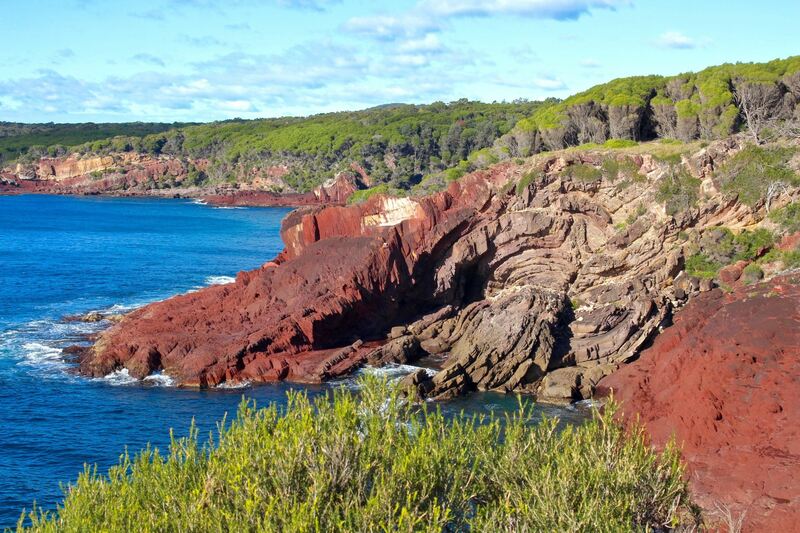 The reddish siltstone is seen in many areas along the coast and appears in many of my photos. I know there are many areas of Victoria with evidence of volcanoes. Do you know of any places in Victoria where volcanoes were once active? Posted in Geology, Rocks and Minerals, Science in the Classroom, Volcanoes & Earthquakes on May 8, 2017 by rossmannell. I saw your post entitled "The Power of Observation and Wonder" and found it very interesting to read. I was going to write a reply because, as the previous Global Grade 3 class knows, I am interested in many things including stones but I have been very busy filming and making DVDs for schools. However, your "A Closer Look at MAPS!" post again caught my attention so I thought I'd write a short post about maps. I have seen many types of maps including the types you have studied. Perhaps my favourite modern maps are the types I used as a Scout. I would say, "Give me a good map and a compass and I can usually find my way around." 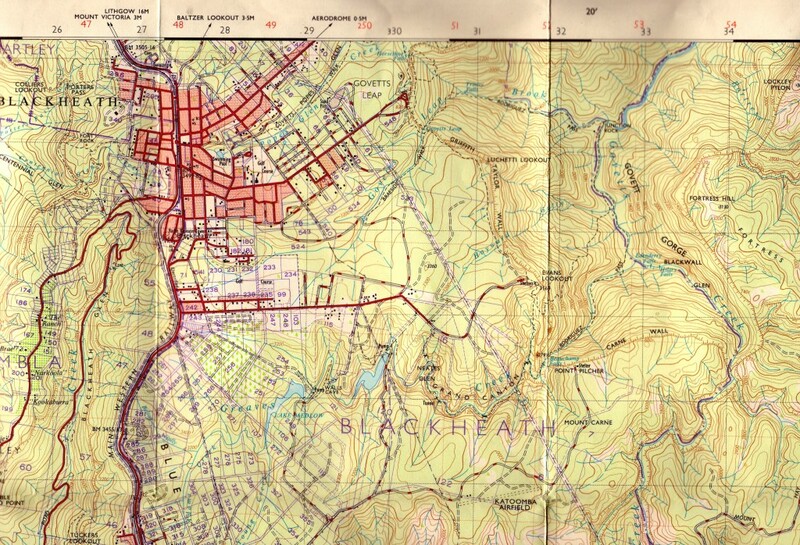 This is a scanned section of Central Mapping Authority of N.S.W. topographical map printed in 1970. I do not hold copyright over this image. The map has a great deal of information. I can see red lines showing roads. Some roads are shown as white with red dashes to show they are dirt roads. There are thick black lines with small, double dashes along them to show a railway line. Blues lines show rivers and creeks. 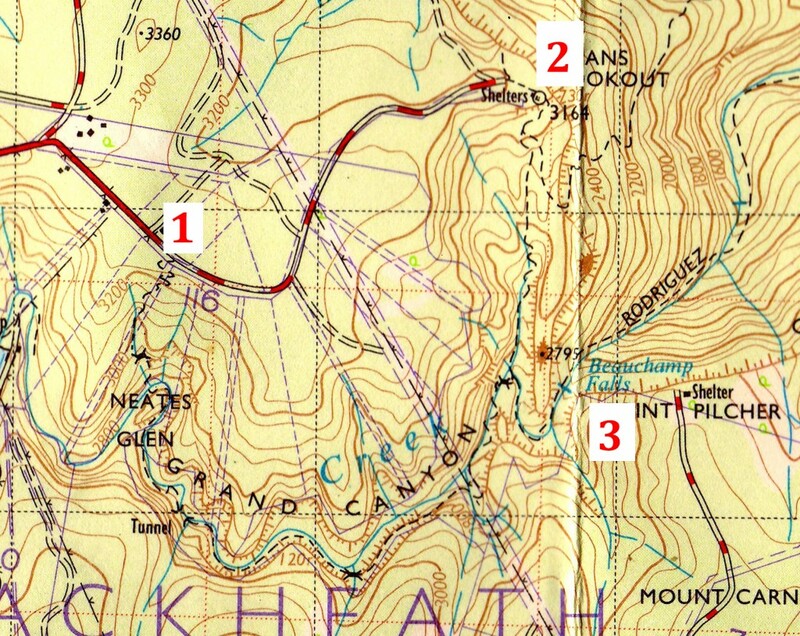 We can easily see Blackheath is a town but there are large areas without streets and those areas interest me as I have explored those areas. Can you see the brown wriggly lines on the map? I have added the red numbers to help students find specific points. See the black, single dashed lines? They are walking tracks I have followed. I have walked down from number 1 to 3 and up from 3 to 2. 1 - The beginning of the track is about 3250 feet above sea level. 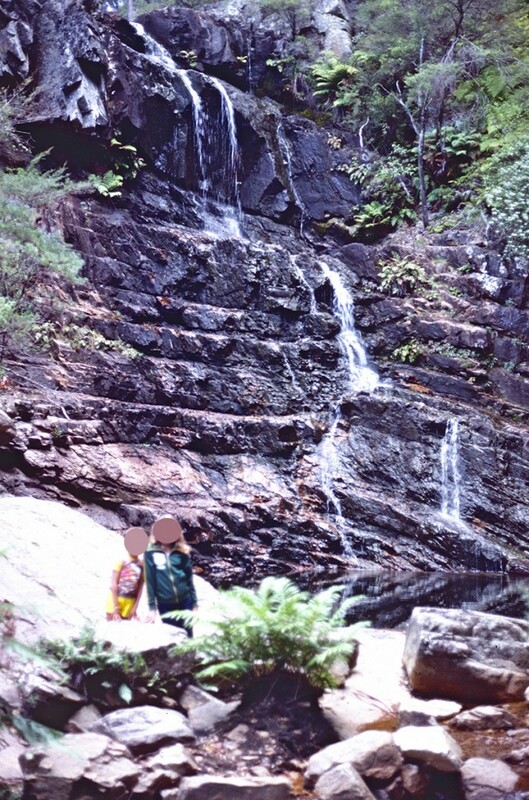 3 - Beachamp Falls is about 2650 feet above sea level. The map shows me if I walk down from 1 to 3, I will drop 600 feet. If I then walk up to 2, I will go up 550 feet. Because the brown lines are close together, I know the track will be steep in places. Do you notice one section is named Grand Canyon? It's not even close to the size of the Grand Canyon in U.S.A. but it is steep sided. 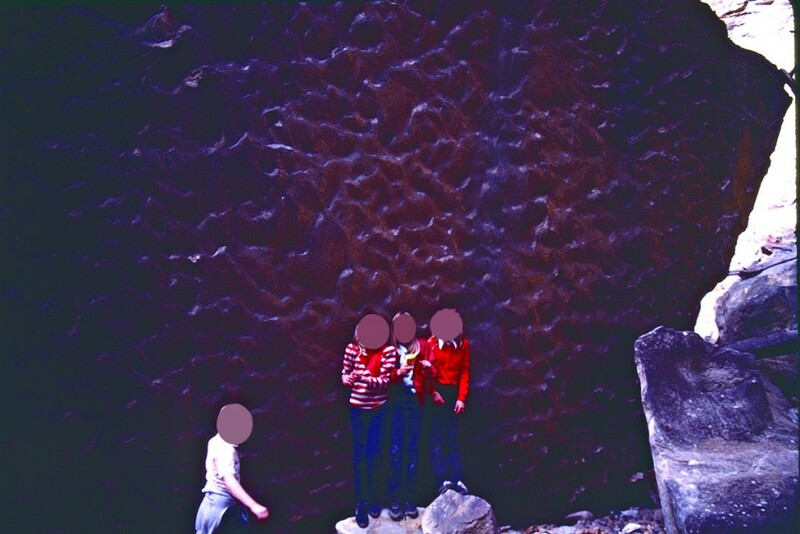 Let's look at some photos I had taken around 1980 in the Grand Canyon and at Beauchamp Falls. Starting down the steep track from 1. We pass through a small tunnel and behind waterfalls. Deep down in the Grand Canyon. Until we reach Beauchamp Falls at 3. And now for two photos for your "The Power of Observation and Wonder" post. The photos show rocks that caught my eye but were left in place. They were in a national park so we are not allowed to take them. They were also far too big to carry. 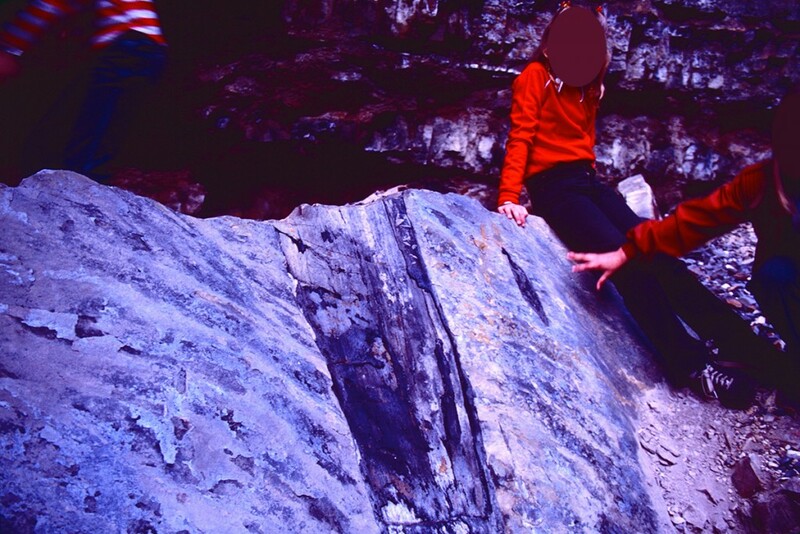 The first shows a large sandstone rock. Can you see the black mark? It is the remains of a tree trunk buried under sand millions of years ago but now exposed after a rock fall. It is a fossil record of the tree. 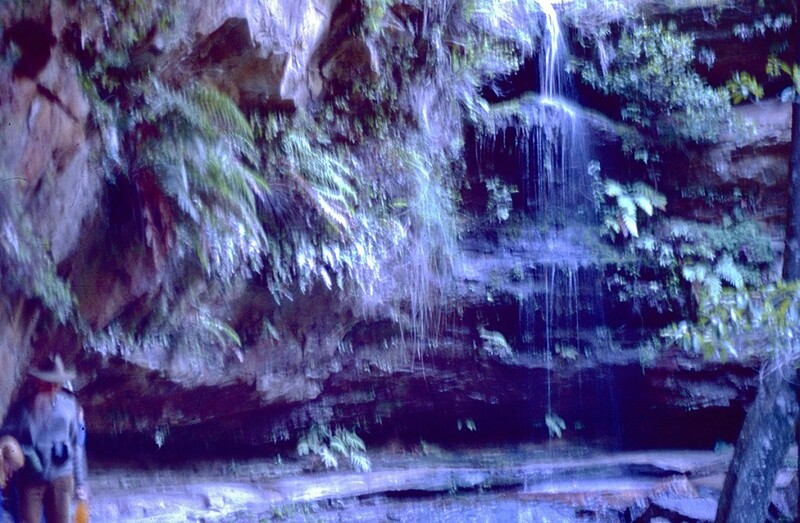 The second shows an even larger sandstone rock. Do you notice the ripples on it? Millions of years ago sand was rippled by flowing water. A thin layer of mud covered the ripples and in time left a fossil record of water running over sand. What is even more amazing is this sandstone was sand under the sea millions of years ago but it is now lying 2650 feet above sea level. These rocks of sandstone certainly caught my eye and the eyes of the children I had taken there as we thought of their long history. When we then walk the 550 feet in height (but much longer along track) back up to 2, this is what we see when looking north. How long does it take to study a place and then make the map? For early map makers, they might have to walk, ride or travel by ship in order to make maps so it could take a long time to make a map. Back in August 1768, Captain James Cook set sail from England. He was taking scientists to Tahiti to observe Venus crossing the Sun. Once the scentists had finished their observations, Cook's orders were to sail south to find Terra Australis Incognita, the unknown southern land, some people thought must exist. In September, 1769 he reached New Zealand and set about mapping its islands. 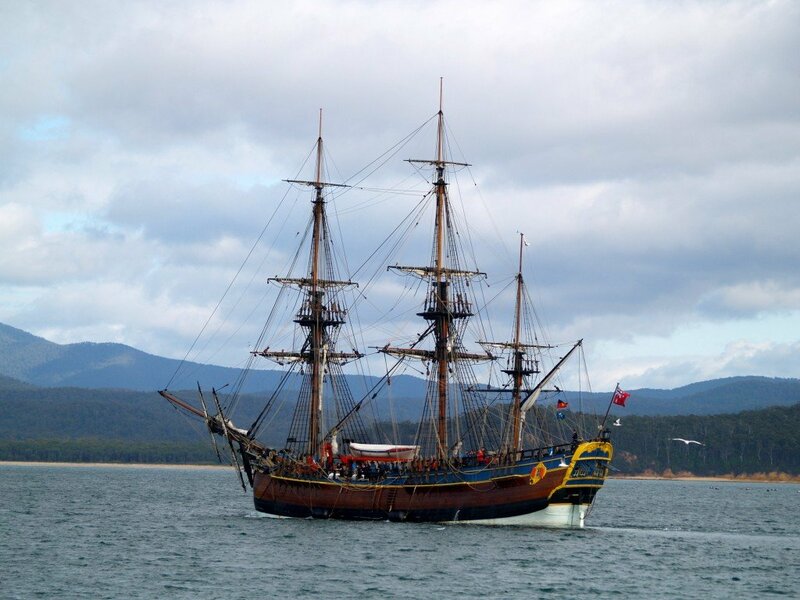 In April 1770, he reached a land he named New South Wales. It was really the east coast of Australia. He sailed north along the coast mapping as he went. Cook and his ship didn't return to England until 12th July, 1771. It had taken him and his crew three years to make the journey and return with the maps he had made. Today, with satellites, GPS and Google Earth, we can map the world from our own homes. How many different kinds of maps are there? Interesting question and makes me wonder what a map might be. We know most types but is a plan for a house a map? Is a design for a new machine a map? They also show where things are. Are there maps about SPACE? Now this is complicated. In your post , you noticed the maps you saw were two dimensional flat maps. In order to find a place on a map, you needed to know how far up or down and side to side a place is. 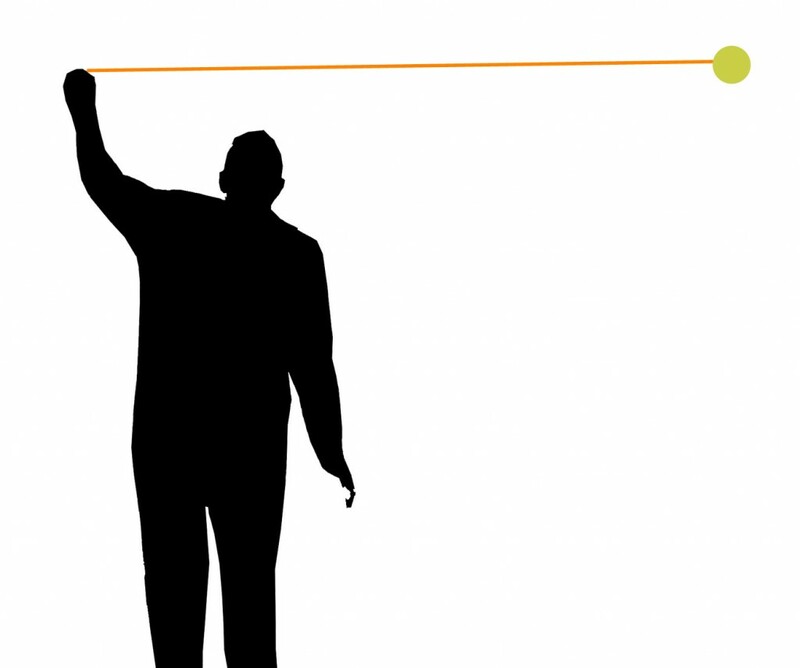 To accurately map space, we would need a three dimensional map and it would have to be huge because space is huge. Using computer models, there are space maps. Here is a link to a 3D space map animation representing 400,000 galaxies. Remember our Sun is just one star amongst possibly hundreds of billions in just one of those galaxies. How do pilots use maps? Have a look at this aviator's map. It's how a pilot might plot a course using information on their computer. Of course, pilots in early days didn't have computers. They would look down to the ground and possibly follow roads or railways to their destination or they might use a compass so an old fashioned paper might might have helped. Do we have maps for EVERYTHING? WOW! Maps of everything? Even on our own Earth there are places no one has ever been so, for example, there are no accurate maps for some of the deepest places in our oceans. What about other planets, stars, galaxies? We may not have maps for everything but we do have maps of very many things but there is still so much more waiting for someone like you to map. Cartographers (map makers), pilots, sailors, explorers, delivery drivers, police, ambulance, fire fighters, tow truck drivers... There would be so many jobs where we might need maps at some time. How old is the OLDEST map? These maps were sourced through Wikimedia Commons where they are listed as in the public domain. 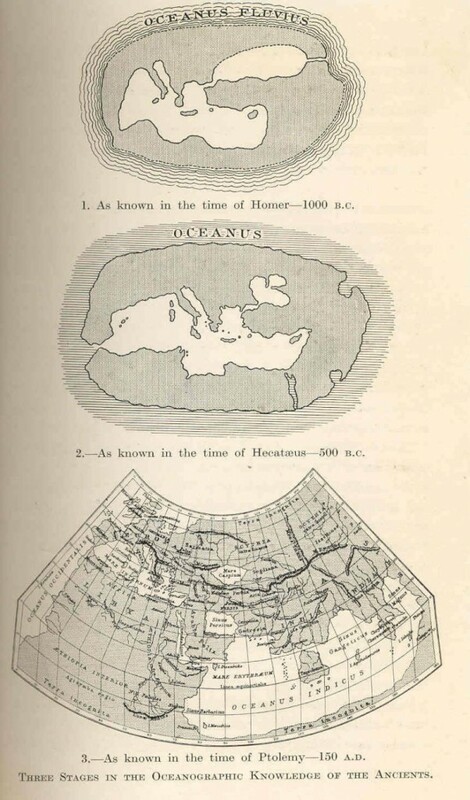 The first shows the world as known by the Greeks perhaps 3000 years ago. It shows the Mediterranean Sea. The 500 BC map from around 2500 years ago shows the Red Sea and the opening into the Atlantic Ocean. By 150 AD Europe, parts of Africa, and Asia has appeared on the maps. Notice Terra Incognita at the bottom right of the map. It's what Captain Cook was sent to find or show wasn't there. Maps have to change when what has been mapped changes. Yes, volcanoes can create new islands. You know about the big island of Hawaii. Did you know deep under the ocean around 30 kilometres south of The Big Ilsand there is a new volcano rising around 10,000 feet from the ocean floor with only about 3100 feet before it reaches the surface? If in the future it does break the surface, Hawaii will have a new Island. The islands of Hawaii were formed in this way and will eventually erode into the ocean as many have already done over millions of years. Look at the Google Earth image below. The Hawaiian Islands are in the middle at the bottom. Look carefully and you can seen now submerged volcanoes moving off to the left as you go north. They may once have been islands as is Hawaii. When we have changes in the level of the sea, land also changes. In times of ice ages, sea levels can be much lower and expose more land. When the first people came to Australia around 30,000 years ago, they were able to walk from New Guinea into Australia and cross to Tasmania by land. Now you would need boats. The opposite happens when sea levels rise. Some islands in our oceans are now underwater but were once above. It worries island nations in the Pacific and Indian Oceans. Another country I find interesting is the Netherlands (Holland). Over generations, they have taken back land from the sea using dykes and sea walls. In the news recently there have been stories of islands being built by the Chinese government in the South China Sea. And in your own part of the world, when new suburbs, roads, streets, airports, railways, etc are built, maps need to change. Do maps ever change? They have to if they need to be accurate. Both your quote at the beginning and this at the end tell me the key to learning is to keep our minds and senses open to all around us for, if we do, we will begin to see our world and those beyond as containing mysterious, awesome and magnificent opportunites just waiting to be discovered. Posted in Australia, Environment & Weather, Geography, Geology, History, New Zealand, Our World, Its Nations and Continents, Rocks and Minerals, Space, Volcanoes & Earthquakes on October 14, 2015 by rossmannell. I never know when a post or comment from a student or class might prompt an extended comment. Something written makes me recall some information I have read or seen over the years and before long I find a comment growing longer or I want to include photos, videos, audio or links. In the "How did the Earth begin? ", the challenge was one I thought I could meet. Being keen on science and many other things, I had been following theories on the origin of the Earth and the universe. Once I have an idea for a post, I research my facts to try to make certain my thoughts are on the right track then start writing the post. I knew "How did the Earth begin?" would be a longer post because there is much to consider. 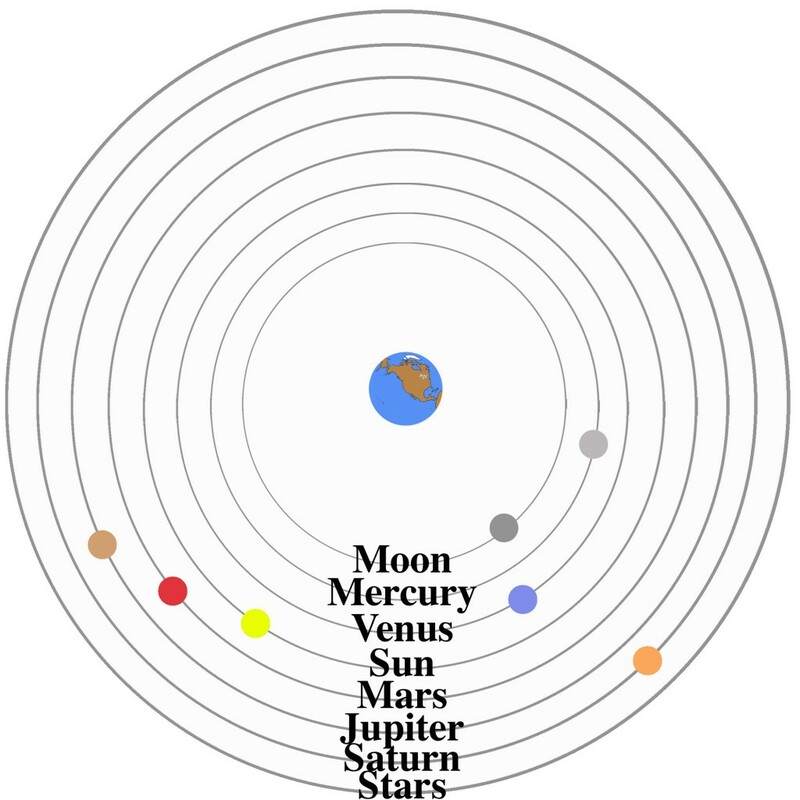 Geocentric is a term used to describe the belief the Earth is the centre of the universe and all planets, stars including our sun, and the moon orbit us. From research, I have found many people still believe in geocentrism today. For some, it may be a religious decision, others a firm belief they believe science can support, and for others it's more a matter of not knowing any other way. We do live on the crust of the Earth. It's the solid part that is our land and the bottom of oceans and seas. Compared to the rest of our planet, it is very thin but I wouldn't have it any other way. If you cut an apple in half, you can see the thin skin (like the Earth's crust) covering the rest of the apple down to its core. The inner core is thought to be very hot but solid iron hotter than the surface of the sun. It's pressure keeping it solid. 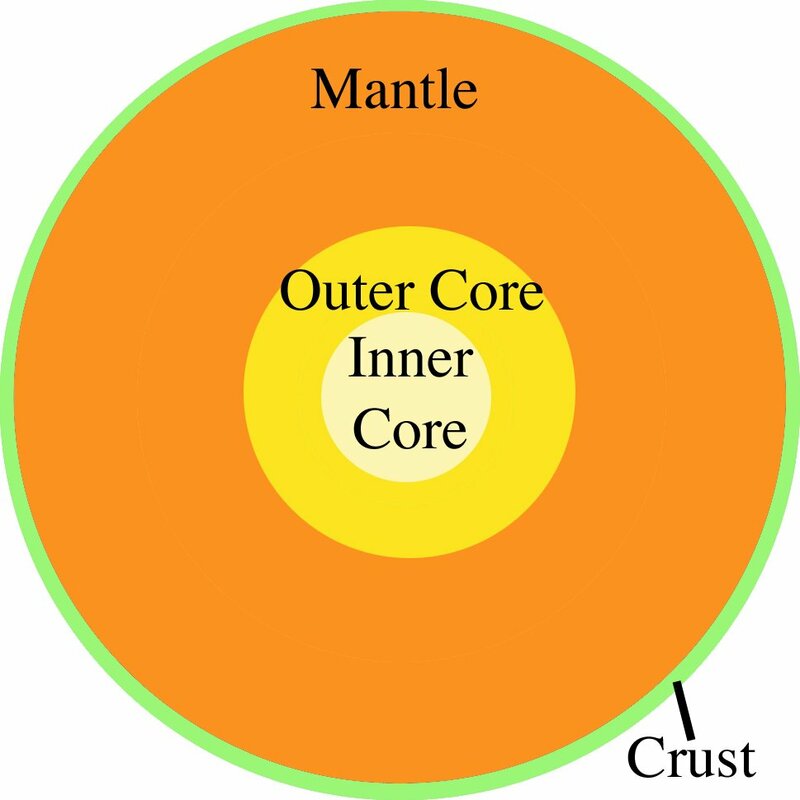 The outer core is still mostly iron but it is liquid and flows around the inner core. Remember, the Earth turns on its axis and this causes the spin and also gives us night and day. Think of stirring a drink. You can see the liquid moving around as you stir. 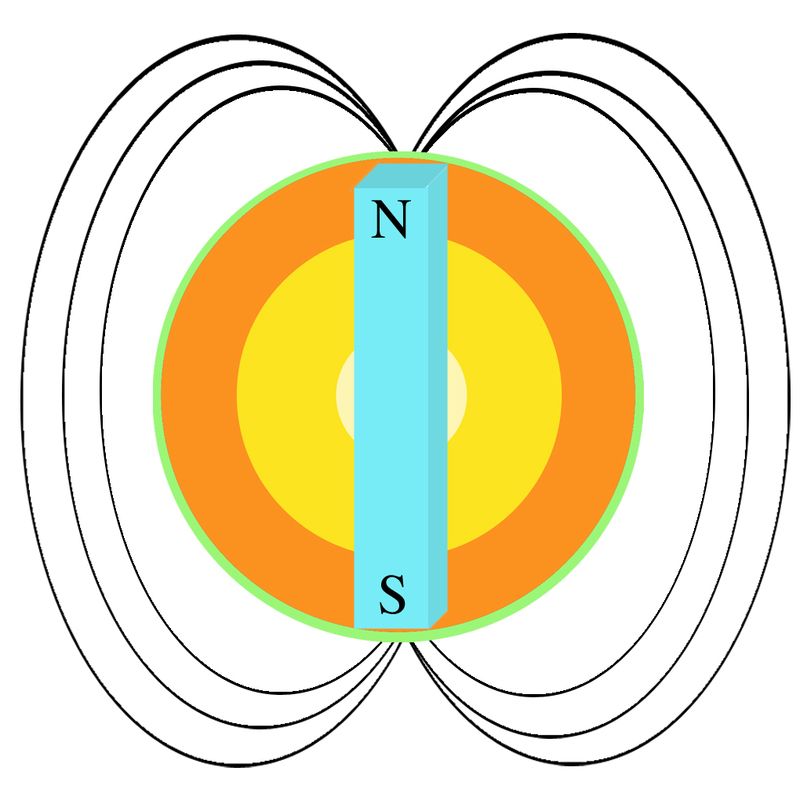 It's this movement of the outer core that gives our planet a magnetic field and protects us from much of the sun's dangerous radiation. Mars doesn't have this activity so has a weak field. Even if there was air to breath on Mars, we would probably still need special clothing to protect us. The mantle is semi-liquid and is basically moving hot rock (magma). The mantle movement is known as convection. We can see this effect in boiling water. Below is a video clip I prepared for you. To see the movement of the water, some rice grains were dropped into the water. You can see them move to the side being heated, rise with the heated water then sink back down as the water cools a little. The same thing happens in the mantle. 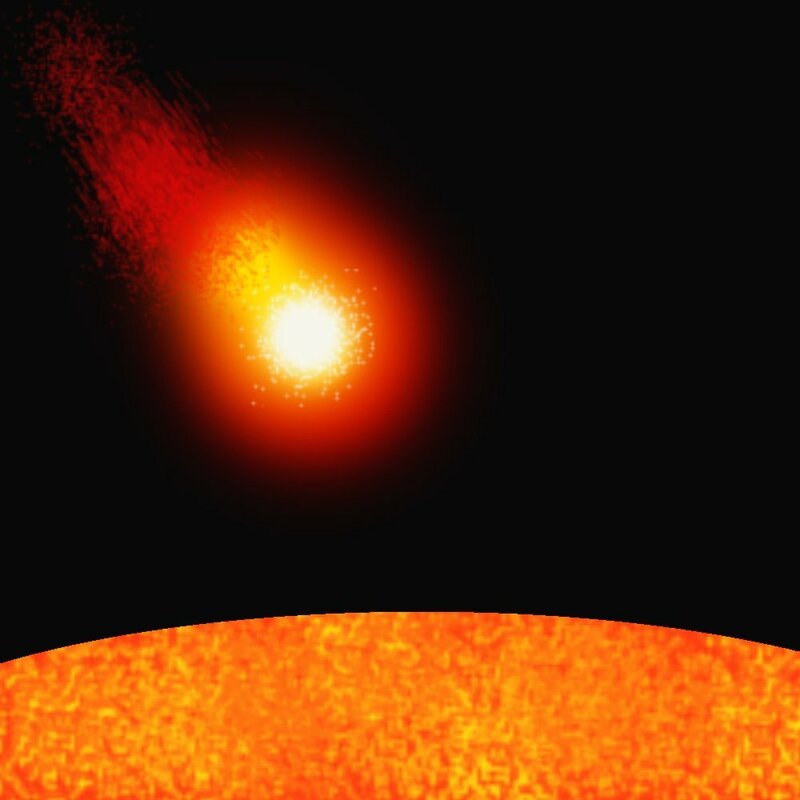 The hot rock (magma) sinks down as it cools a little, is heated near the outer core and rises again. There are many of these convection currents in the mantle not just one big one. Sometimes this movement of the magma brings magma to the surface and it flows out as lava. I was on Hawaii (The Big Island) a number of years ago and took a helicopter ride over the Kilaeua and along the coast. Look in the photo below and you see see the lava pouring out into the sea. Kilaeua has had a very active period. 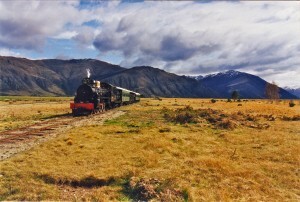 The photo is a scan of an old 35mm slide so the quality isn't the best. Posted in Geology, Rocks and Minerals, Science in the Classroom, Volcanoes & Earthquakes and tagged convection, Earth layers on March 26, 2013 by rossmannell. In a way I did see a dinosaur at Pancake Rocks but only when watching a documentary on dinosaurs. In 2000, BBC Worldwide Ltd. released a twin DVD set named, “Walking With Dinosaurs”. 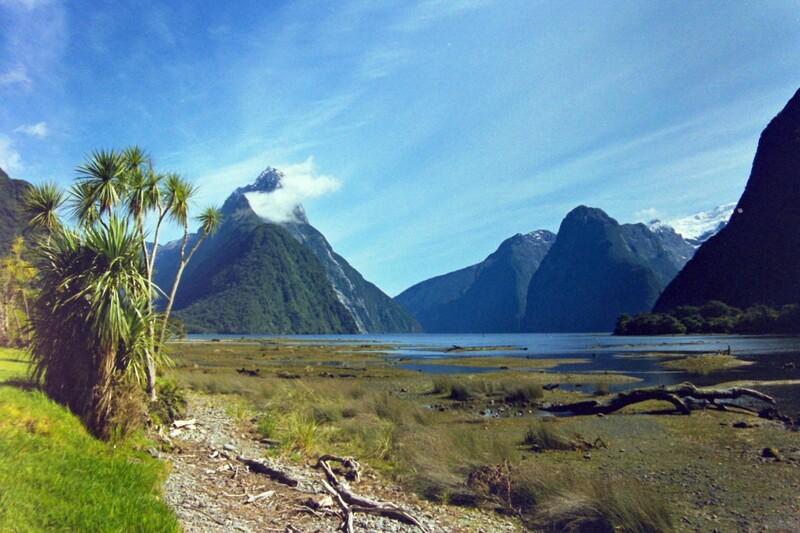 Wanting a scene for the great southern land at the time of the dinosaurs, they chose New Zealand. An ornithocheirus appeared on the rocks care of computer animation. The scene appears in “Episode 4 – Giants of the Skies”. This video is not mine and should not be copied. This is only a link to a BBC You Tube video. In reality, the dinosaurs were long gone before Pancake Rocks started to form. You live in an amazing country, Bradley. There are so many landmarks to see. I'll share my photos of some of my favourite places in New Zealand. I think you'll know some of them. 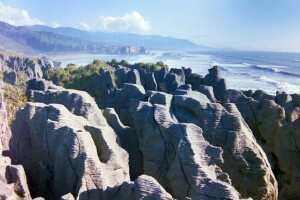 Pancake Rocks is also one of my favourites. Living on the east coast of Australia, I had seen sunrise over the ocean but my first ocean sunset was seen at Geymouth. 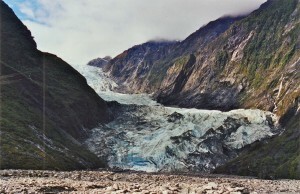 Climbing on Franz Joseph Glacier was a real experience. 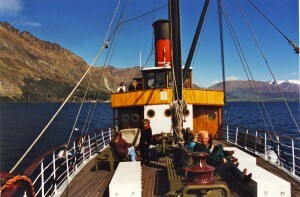 Cruising on board the TSS Earnslaw on Lake Wakatipu. Riding on board the Kingston Flyer. Walking the valley towards Mt. Cook. 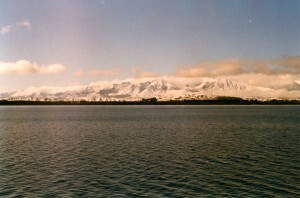 Looking across Lake Taupo to the snow-capped volcanoes of Tongariro National Park. 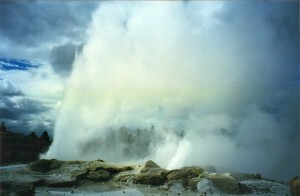 Visiting the Whakarewarewa thermal area and seeing the Pohutu Geyser. Walking down Waimangu Valley thermal area and seeing steaming cliffs and hot water streams. Exploring the volcanic crater of Mt. 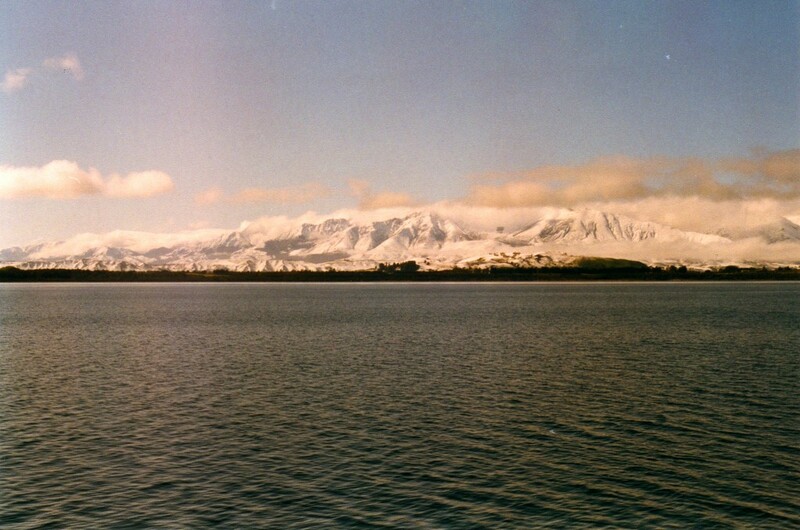 Tarawera. The arrow is pointing to some people on the far rim. Can you see them? Posted in Environment & Weather, Geology, New Zealand, Our World, Its Nations and Continents, Rocks and Minerals, Volcanoes & Earthquakes on March 7, 2013 by rossmannell. Maoris, Volcanoes and Aboriginal Rock Art (some notes) for Roadrunners and their comment. My apologies for taking a few days to answer. I had a DVD/CD project taking more time than expected and am now catching up on comments. My reply to your comment had some links so I created a new post to share them. I think you have been able to identify the key similarities when we look at native cultures around the world. They have connections to nature and animals in a way our western culture seems to have forgotten. How could it be any other way when they only had what was in their environment in which to survive? Waimangu Valley, New Zealand -Scan of an old 35mm slide. Pele is the goddess fire, lightning, wind and volcanoes. I have done a little research into the Maoris' beliefs. The first three help with traditional stories, i.e. "Creation", "Ngatoroirangi" and"How the fire demons brought geothermal to New Zealand"
This link has some modern explanations along with brief recounts of traditional stories. 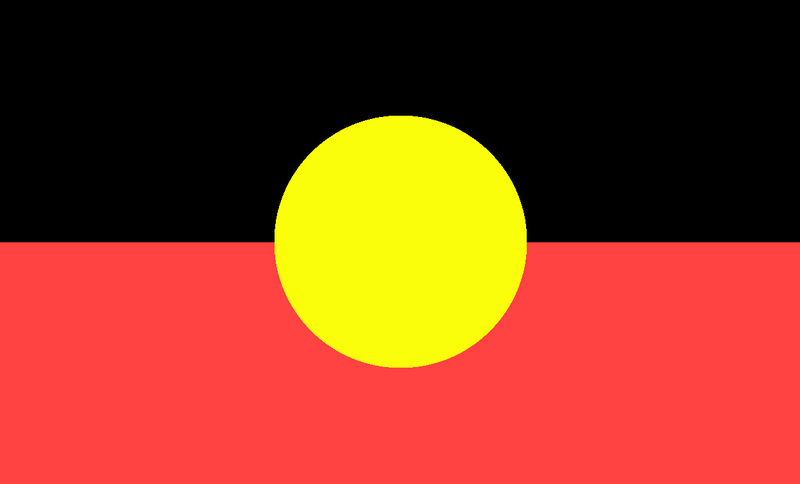 Aboriginal Flag - Schools and students have permission to use this graphic for non-commercial, educational purposes. 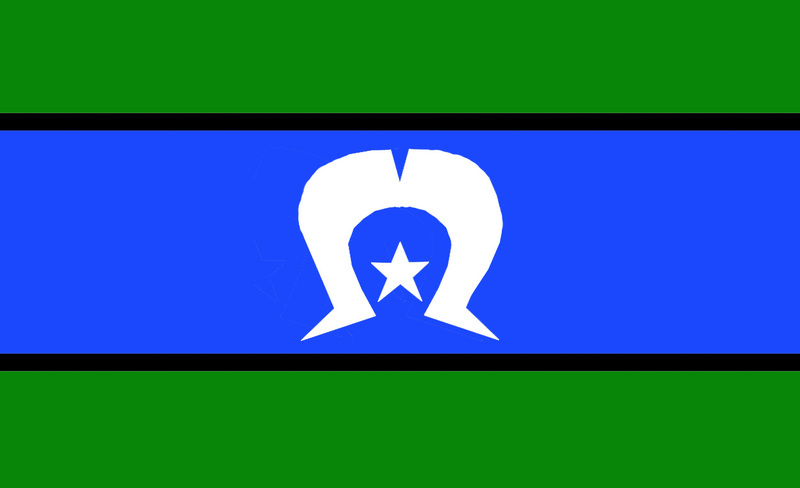 Torres Strait Islander Flag - Schools and students have permission to use this graphic for non-commercial, educational purposes. Posted in Arts, Crafts & Hobbies, Australia, Cultures, Geology, New Zealand, Volcanoes & Earthquakes on November 26, 2012 by rossmannell. *Recently I have been adding "Schools and students have permission to use this graphic for non-commercial, educational purposes." under my photos and graphics so schools can use them without worrying about copyright if they find them useful. If you see the message below photos, graphics, audio or video, you will know it is okay to use on your school blogs or class projects. What a wonderful surprise to be honoured by your class in this way. It’s hard to believe my blogging adventures started only early in 2011. At that time I wouldn't have imagined how much blogging would become a part of my life or how many classes I would visit through blogging. Like many things in life, I saw something interesting and tried it out. 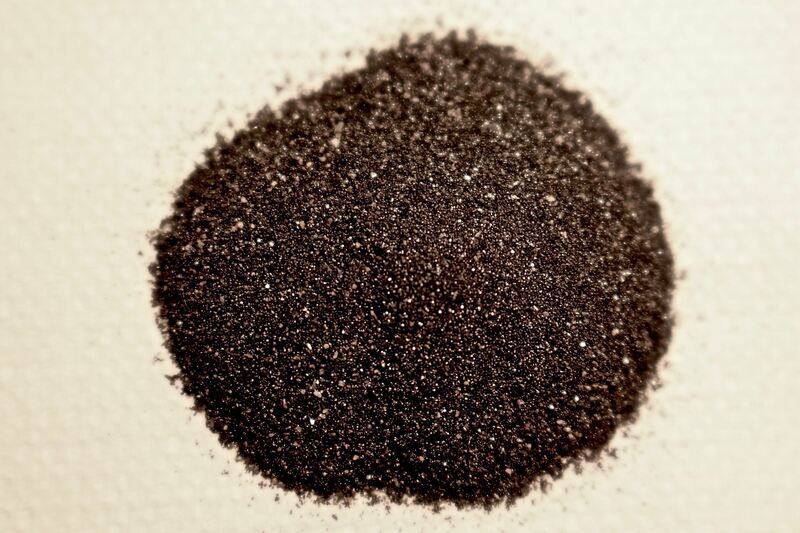 Zubayda – The sample of iron sand came from a place in New Zealand’s North Island known as Awakino. The Awakino River enters the Tasman Sea at this point. The heavy iron sands were washed down the river from volcanic areas upstream. I was able to check slides from a visit to Awakino in 1983 and found a slide of the beach with the iron sands. 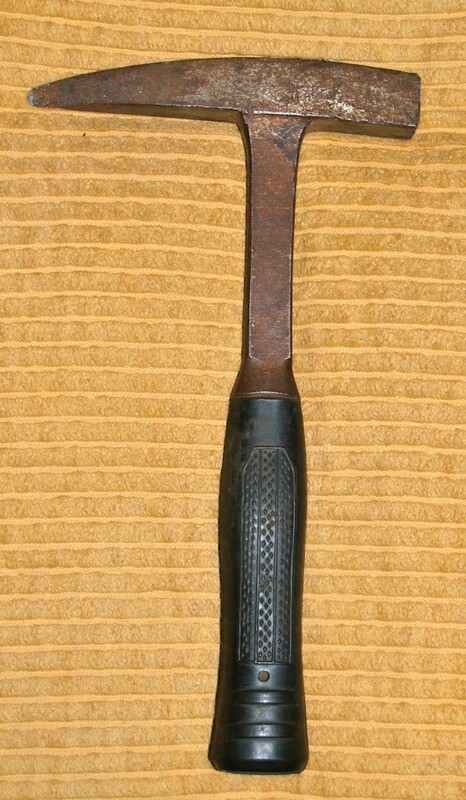 Below is can of the old slide. In summer, the beach is too hot to walk on so people walk along a small stream to get to the water’s edge. 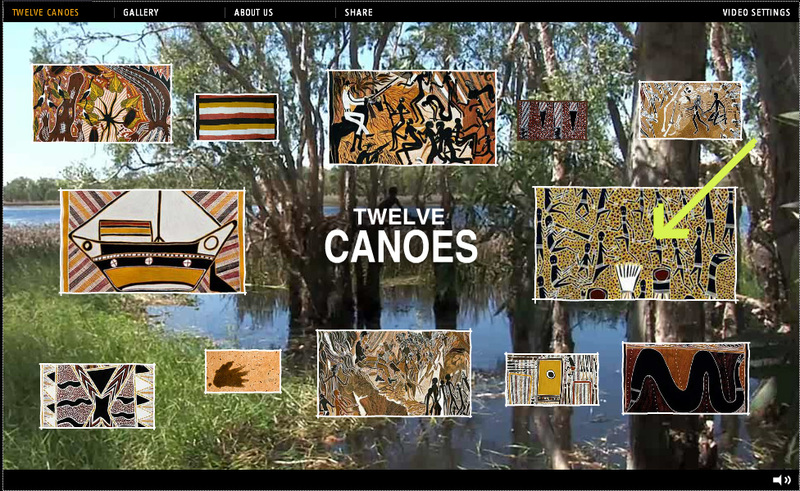 Tre – The DVD was to show the sort of thing I make for schools and community groups. Almost every child in the school appeared in their production. I thought it might be fun for you to hear the Aussie accent and see the Aussie kids perform. For many years I used the iron sands when my classes were looking at magnetism. Because the sands don’t seem to rust, I was able to use them many times. 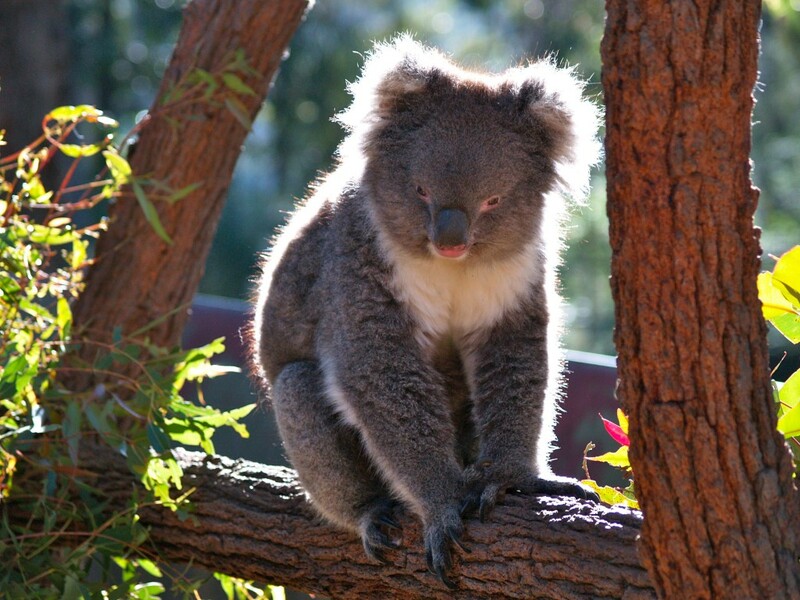 Cemre – I have been able to hold a real koala and have photographed and videoed them many times. They are cute looking but are only awake two or three hours a day. Below is a photo I took of Suzie. She lives at Potoroo Palace, an animal refuge near my home. Nick – The pahoehoe is interesting. It crumbles into sand but, unlike the New Zealand sand, isn’t rich in iron. Did you know there are different types of lava? Dimitrios – The Australian flag has three major parts to it. The Union Jack is in the top left hand corner and shows our link with the United Kingdom. The five smaller stars on the right are known as the Southern Cross (or Crux to astronomers). While it can be seen in the northern hemisphere at some time in the year, it’s always in our night sky. I can use it to find south at night. The large star under the Union Jack is known as the Commonwealth Star. It has 7 points, one for each state and one for the Australian territories. Constantine – When you look at flowing lava, you can tell what type it is by how it moves along. The pahoehoe moves along almost like thick honey whereas the a’a’ seems to be chunky and harder. Jayden – I know how much fun it can be to receive a surprise package. The mystery of what it contains can be exciting. Chris – The scree was an unusual find in a way. After finishing my tour into the crater, I found many pieces had been caught in my clothing. The way in to the Mt. Tarawera crater is a very steep scree slope. Each step I took in the deep scree was well over a metre long as I made my way down. This meant I didn’t really have to collect it, it caught a ride with me. The iron sand was from New Zealand. The black pahoehoe and a’a’ were from Hawaii. The photo below is already on this blog but I thought I would repeat it. The arrow points to people on the crater rim. You can see a break in the rim to the right of the people where people start down. About half way down the scree slope you can see a trail start. It's a great experience going down the very steep slope. With the deep scree, it's not very likely you would lose you footing but it would be a very long way to roll to the bottom. AJ – How many rocks? That would be hard as I have from tiny gemstones to a large and heavy lead/zinc sample. I suppose there might be between one and two hundred samples. The Australian and Canadian dollar are almost in parity (the same value) when I just checked. $A1.00 = $C1.03 The a’a’ and pahoehoe came from the same area of what Hawaiians call The Big Island. The Big Island is really Hawaii but the whole island chain has taken the name. The samples came Kilaeua lava flows. I don’t have very much of either. Your samples were the third I have sent out, one to England, one to Wales and one to you. You will see the name of the iron sand beach in Zubayda’s reply. Davis – The small school in the DVD ended up buying around 60 copies of the disks. The money I take in helps me make more for others. I don’t make a profit by what I do but I have to charge for some otherwise I couldn’t afford to make them. The project I am doing for a choir now involves a special DVD for girls in a dance school and a DVD and 2 CDs for the choir. The girls pay $5 for their DVD and the choir gets the DVD and 2CDs for $10. My favourite? I have recordings I’ve made in schools back to 1982. Each holds a special place in my memory but my favourites are probably the big shows involving 15 schools. There are so many talented students and teachers around. Obsidian is also known as volcanic glass. Magma with high amounts of silica (also in sand) can form obsidian if it cools quickly. Christopher – There have been many special designs of the Australian dollar but the basic design, and my favourite, is the kangaroo dollar. I agree, sulphur is interesting and easy to find in volcanic areas. It is one of the three major ingredients in making gunpowder. 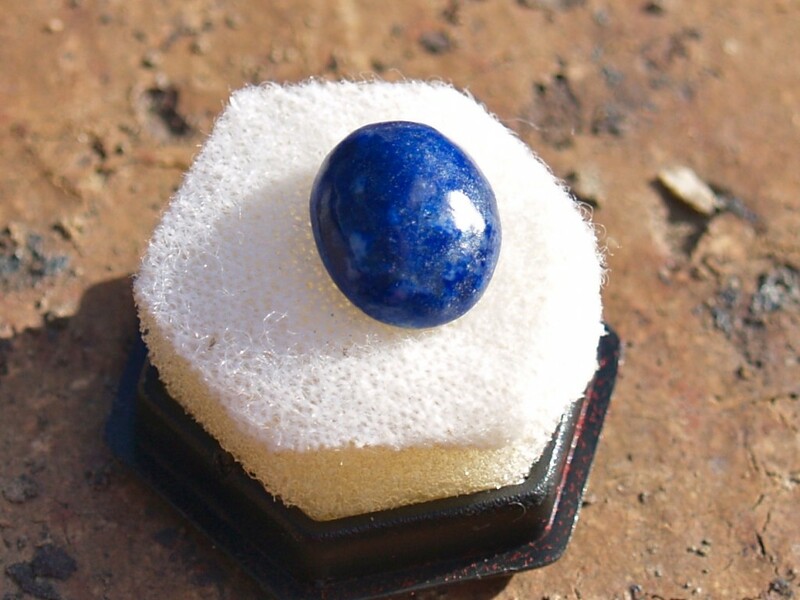 I like sulphur crystals but they need to be protected if they are to keep their shine. 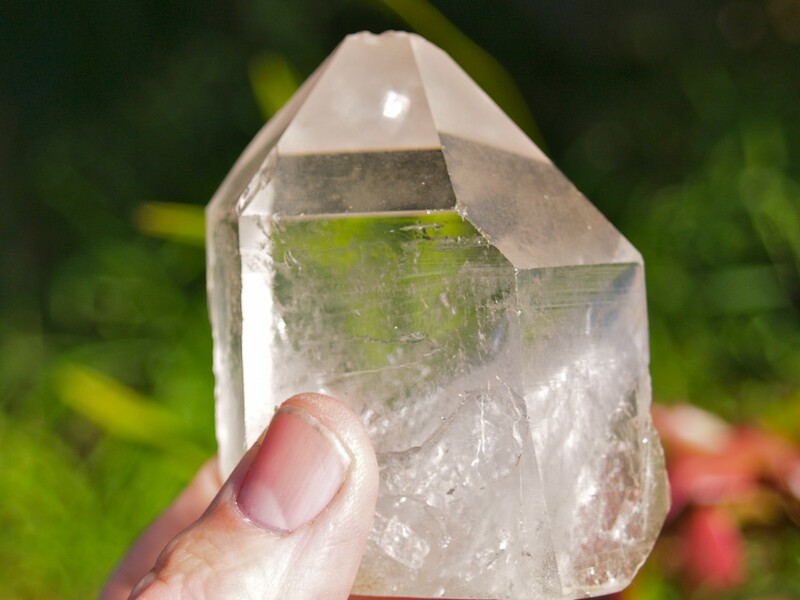 My crystal sample was gather, with permission of the owners, from a volcanic area near Rotorua. 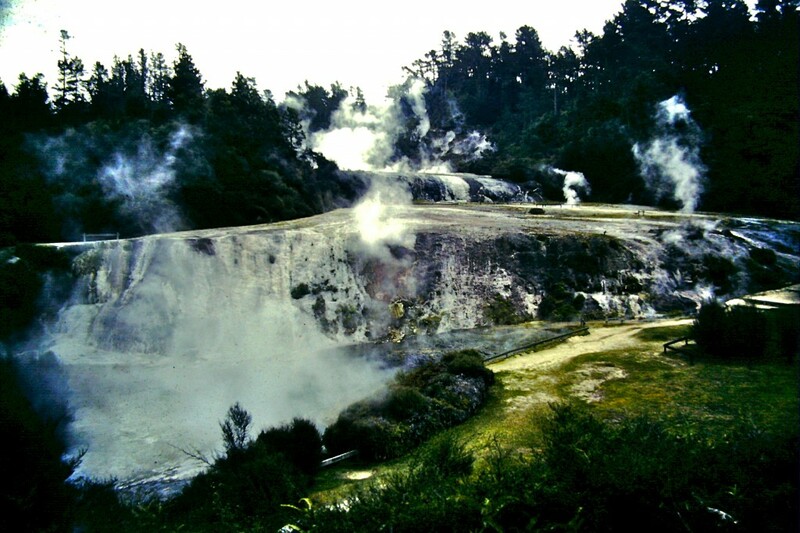 Rotorua has the smell of sulphur everywhere. Chelsea – You probably already know the Canadian flag also once had the Union Jack on it before it became what it is today. It wouldn’t surprise me if one day Australia takes a new design. There are many people with suggested designs often including kangaroos and/or stars. What I have always found strange is out $1 coin is bigger than our $2 coin. It always seemed the $2 should have been the bigger. Rayann – How long to make a movie? I haven’t really kept record of how long it can take but, to give you and example, it has taken me about 8 hours just to design the titles at the beginning and credits at the end for the latest DVD project and more to do the same for the two CDs. There are many other tasks involved but, as a rough guess, my latest project might take around 40 to 50 hours before I make a master DVD for copying. 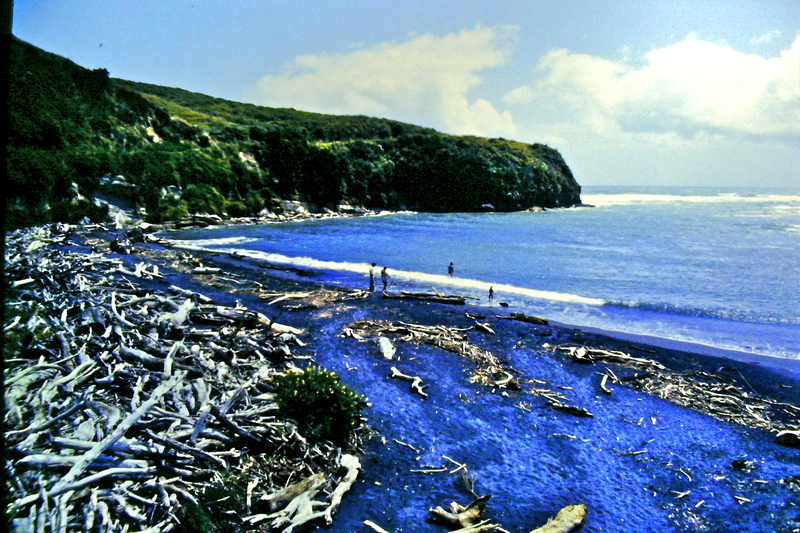 In my reply to Zubayda, I have shown a picture of the iron sand beach at Awakino in New Zealand. In my reply to Dimitrios, I discuss the Australian flag. 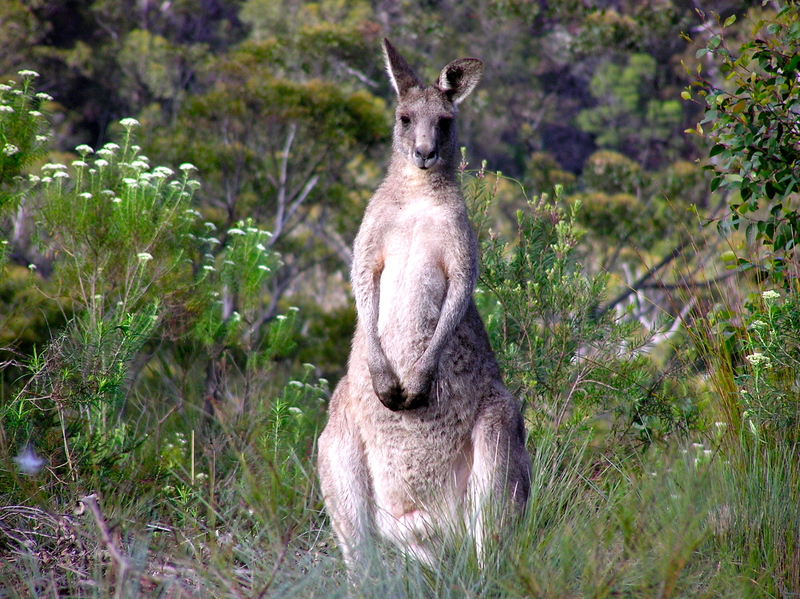 James – One interesting thing many don’t seem to know is Australia only became a nation in 1901. Before that there were British colonies under the names we now call our states. The states voted to form a commonwealth under the name Australia. The original 1901 flag had only a six pointed star. Our current flag didn't become official until 1934. Joyce – The schools DVD was fun to make. They only phoned me the day before to ask if I could film their play as parents had asked for a copy after their first night. The next day I was there checking out the hall and setting up cameras. They didn’t use microphones so the sound was only from the cameras therefore the baby noises. What was interesting about the box for me is they were all amongst my favourite things. I have a number of glove puppets I’ve used in class, many rock samples, some flags, 30 years of school videos and I have always liked the kangaroo $1. Ben – Until we can send objects to people on line, we’ll always need snail mail to send gifts. I always enjoy making the DVDs. My most successful can sell around 200 copies but I also give some away for free just because I enjoy making them. Schools know I charge them nothing for small projects. Schools always get a free copy of anything I make for them. Danny – I probably started collecting rocks when I was your age. I have always been interested in science so geology was just one subject area I explored. My science degree was really in zoology and psychology but I also studied some maths, botany and chemistry at university. I didn't have time to study geology and physics. 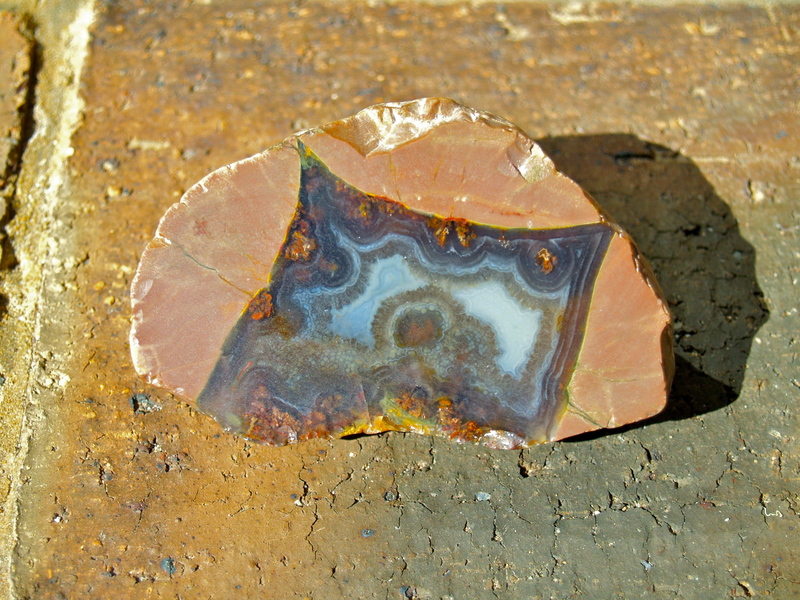 The obsidian was bought from a rock shop in New Zealand. 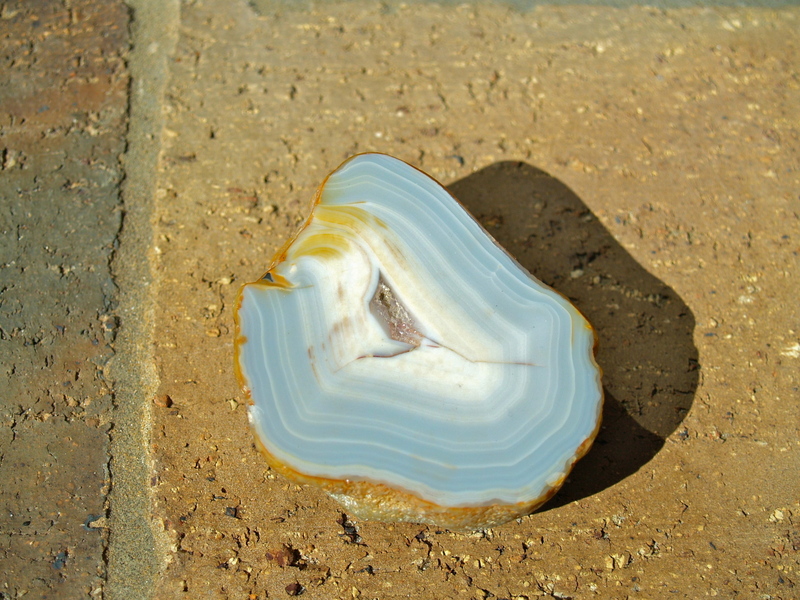 I wasn’t able to find any in areas where you are allowed to take samples so rock shops are a great source of interesting ricks and fossils. Lauren – The school on the DVD is in a small coastal town. It has a beautiful beach, small boat launching inlet, some rugged coastline and is between two national parks with beautiful scenery. 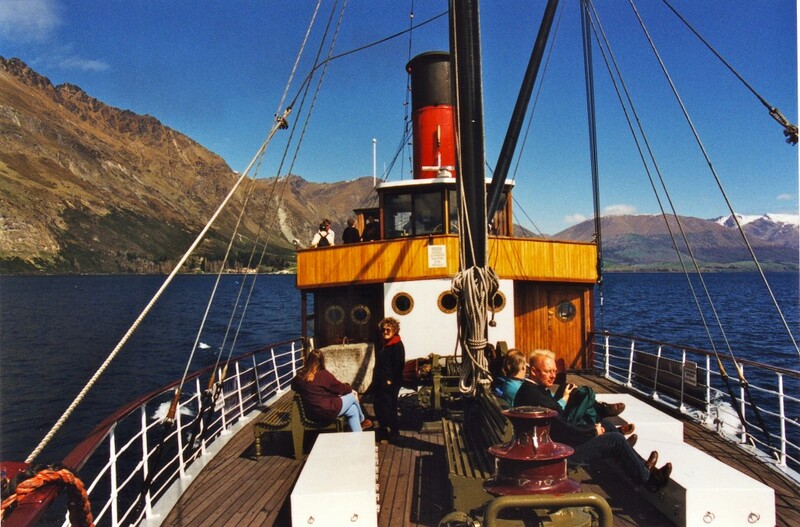 I holidayed there as a child as did my mother when she was a girl and my grandfather when he was a boy. My mother’s side of my family has been in this area since 1847. 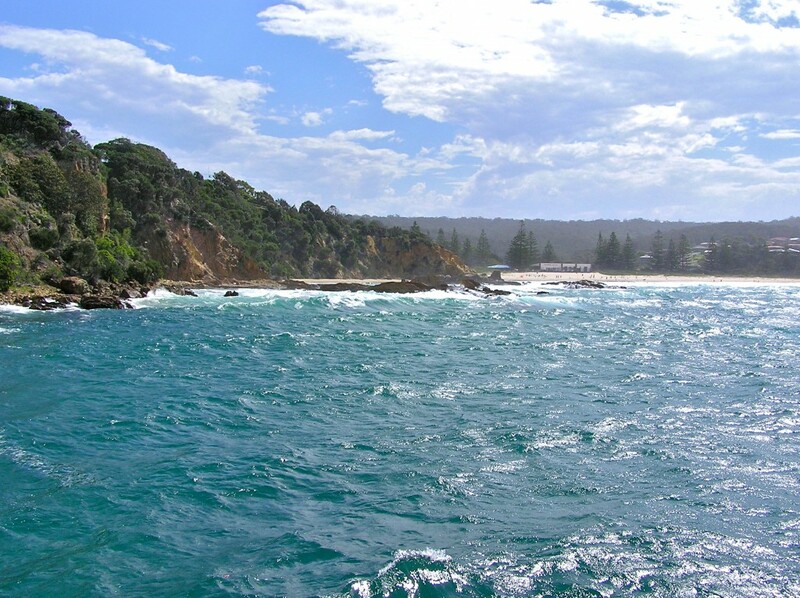 The photo below is taken from a wharf and shows Tathra Beach in the background. Ella – The koala puppet was bought in a local shop. I have another type of koala in my collection as well as a platypus, kookaburra, and cockatoo plus some non-Australian animals. My favourite local animal refuge has three koalas. I was able to film the first time Suzie’s baby poked its head out of Suzie’s pouch. They also sell Australian animal glove puppets. 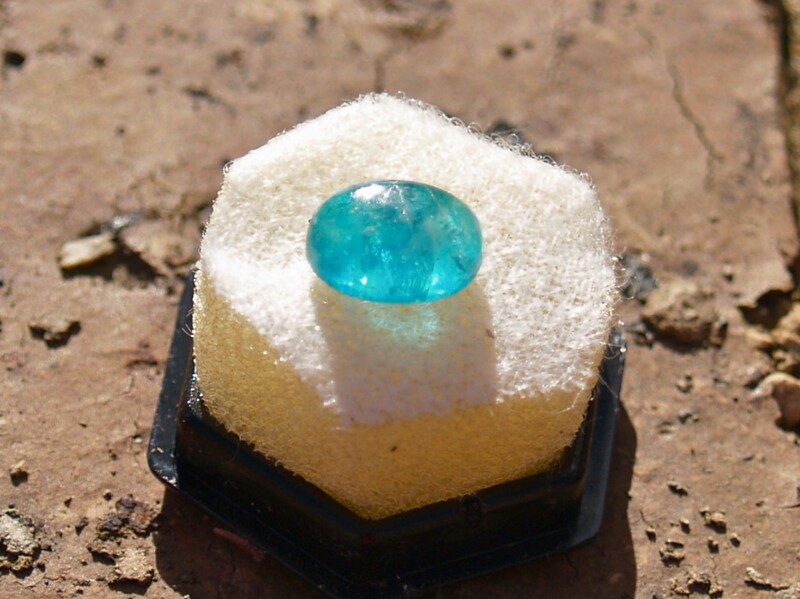 Elijah – It wouldn’t be a good idea to use a’a’ as soap as it would be a little too scratchy, There is a volcanic stone I wasn’t able to send that can be used but not as soap. 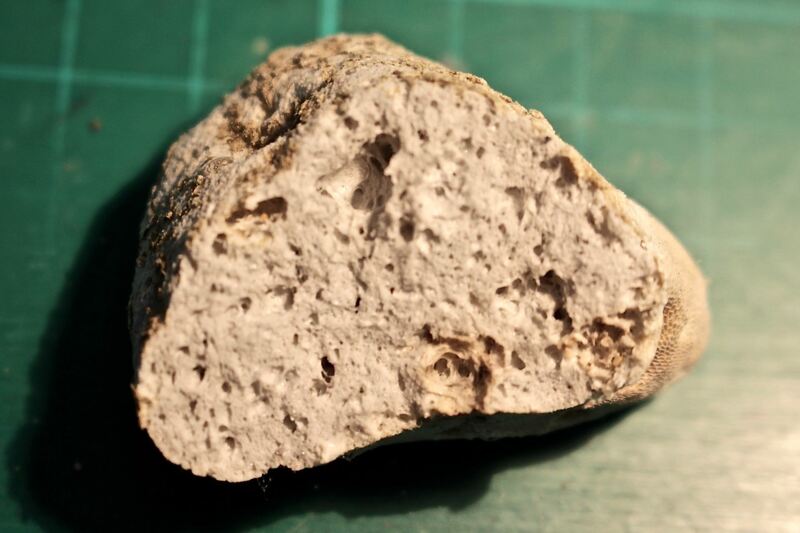 Pumice is a light volcanic stone. When superheated rock is thrown out and cools quickly, bubbles can form. 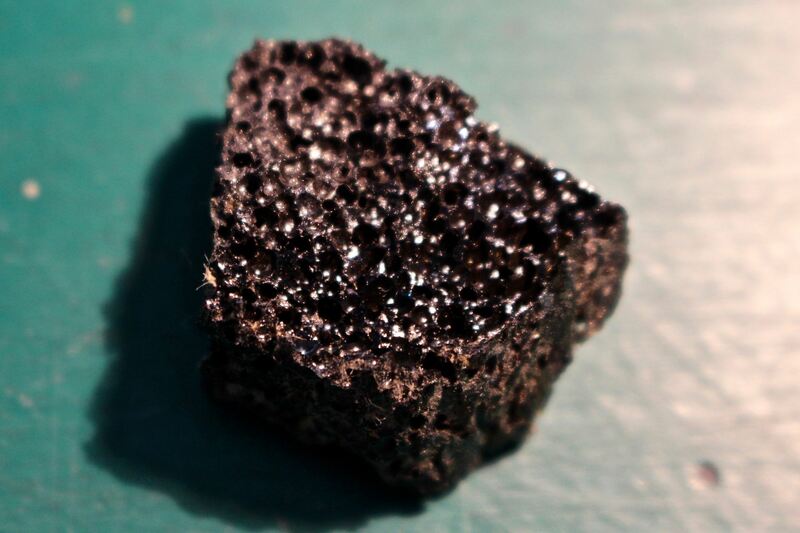 Because of these many small bubbles, pumice is able to float in water. People can use it to rub calluses off their skin. I am out of samples at the moment or I would have included some. Rebecca – When called in to film shows, I often don’t know what is going to happen. For the show in the DVD, I had no idea what would happen. I found it fun to watch. The only catch is I can be standing in the same spot for two hours while filming to make sure everything records well. Only when I edit the film on this computer do I have the chance to watch each act and cut out the bloopers or times when nothing is happening. Do YOU know the significance of the six stars on the Australian flag? What do the symbols on YOUR flag represent? (My reply for Dimitrios) The Australian flag has three major parts to it. The Union Jack is in the top left hand corner and shows our link with the United Kingdom. The five smaller stars on the right are known as the Southern Cross (or Crux to astronomers). While it can be seen in the northern hemisphere at some time in the year, it’s always in our night sky. I can use it to find south at night. The large star under the Union Jack is known as the Commonwealth Star. It has 7 points, one for each state and one for the Australian territories. Do you have a national bird, or flower or animal? 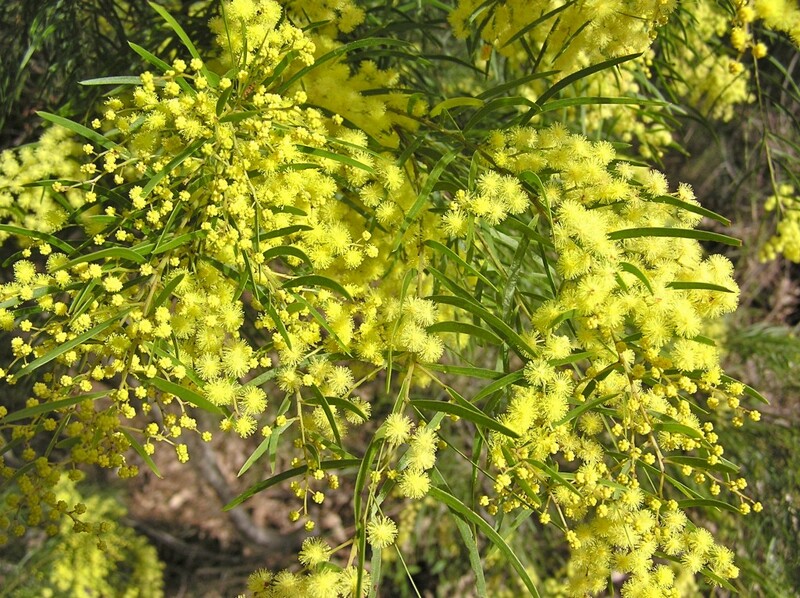 I didn't have a photo of the golden wattle in my collection but here is a photo of a similar wattle. 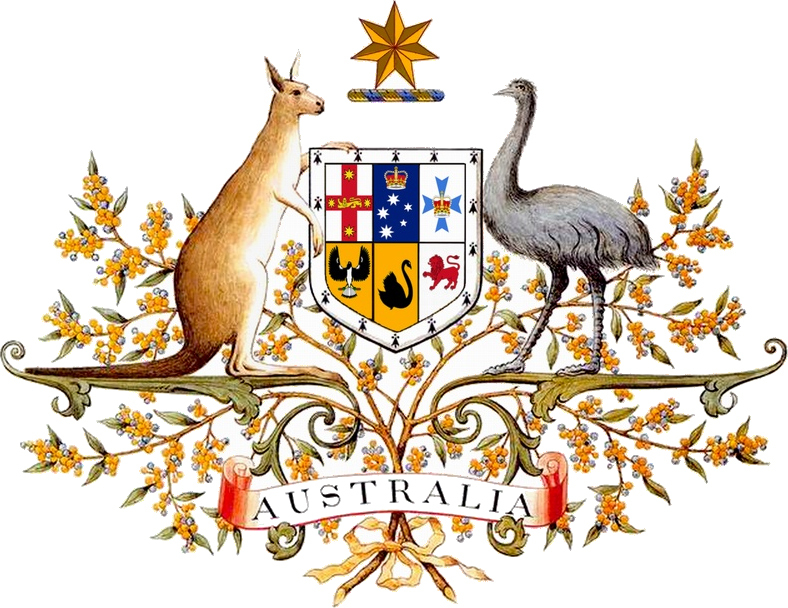 The three emblems appear of Australia’s Coat of Arms. This is not my graphic. It was sourced through Wikimedia Commons. As well as national emblems, each state has its own emblems. 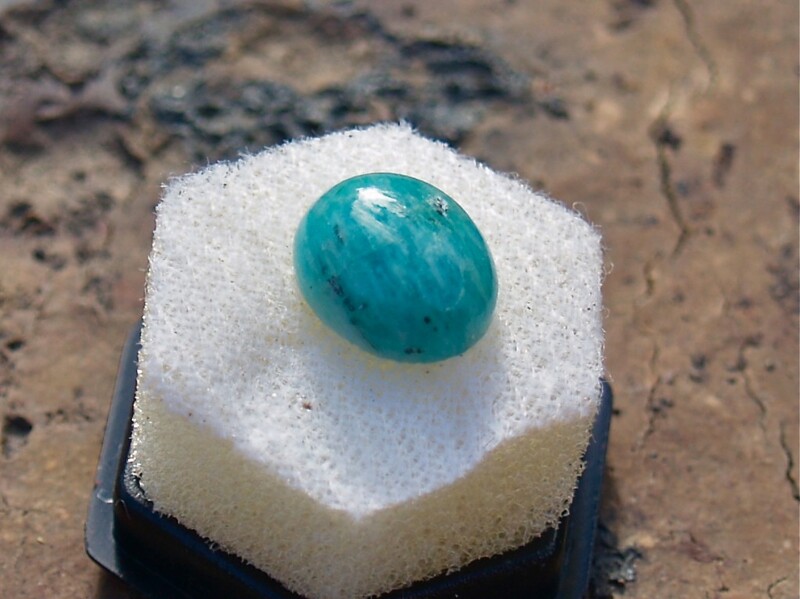 Do you have a favourite rock, mineral or fossil sample in YOUR collection? What makes it your favourite? My favourite is crystal pyrite. 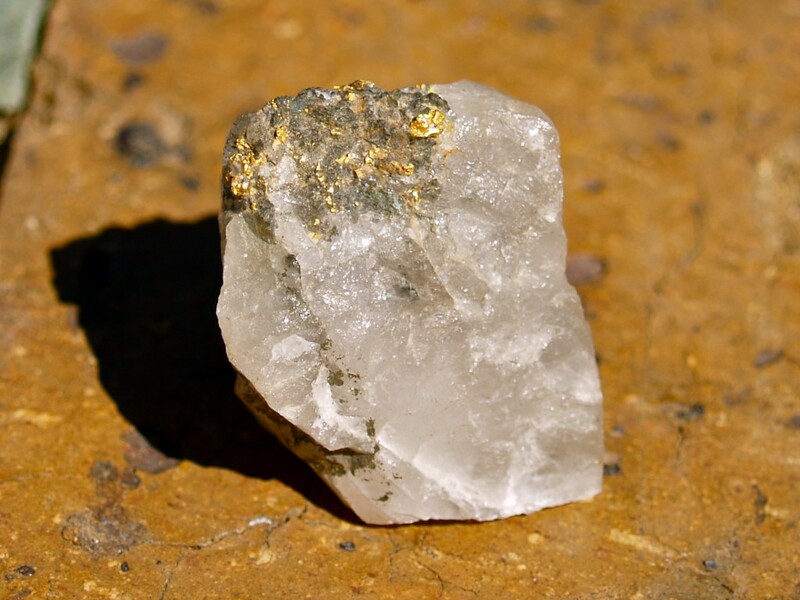 It has the colour of gold and is also known as fool’s gold. 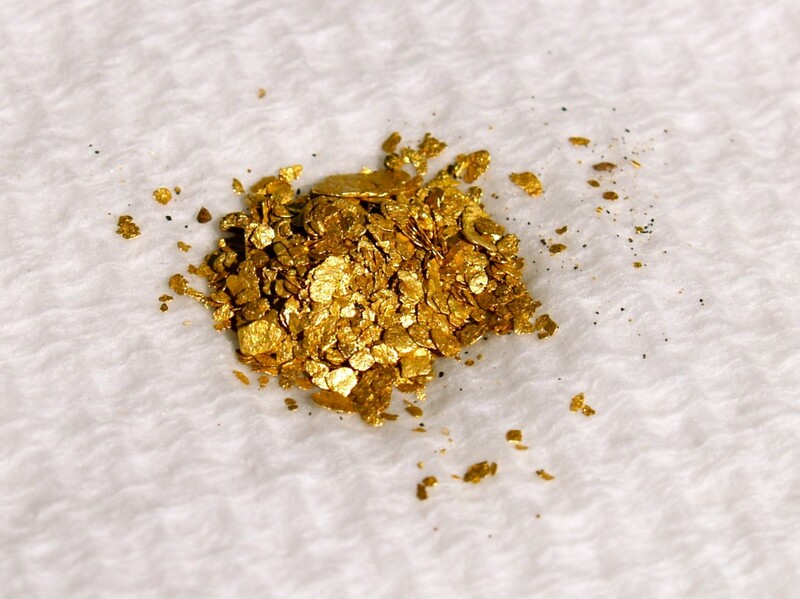 It is much prettier than gold although worth very little. It’s easy to tell the difference. Hit a sample with a stone. If it flattens, it’s gold. If it shatters into little pieces, it’s pyrite. Pyrite is iron sulphide. Here is a sample from my collection. 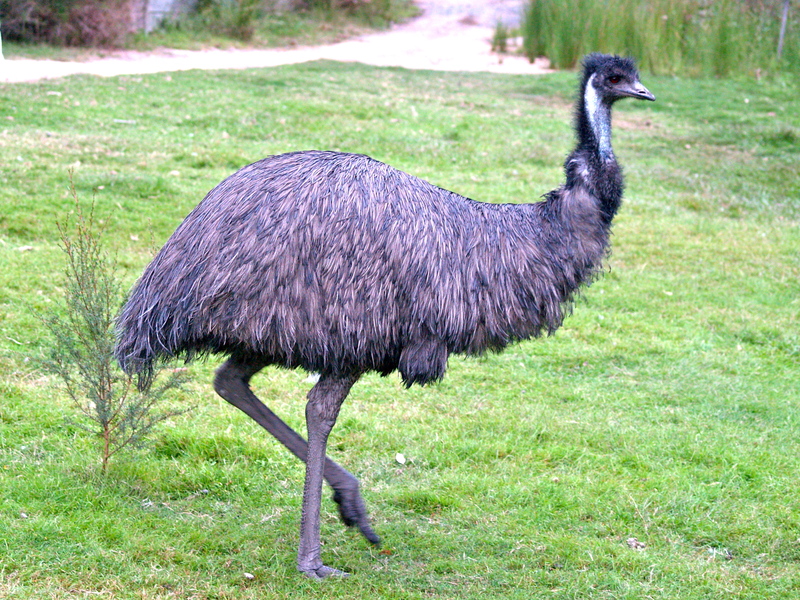 It comes from Northern Territory in Australia. I have seen very beautiful examples from Italy. It measures 6cm across and weighs 250g. 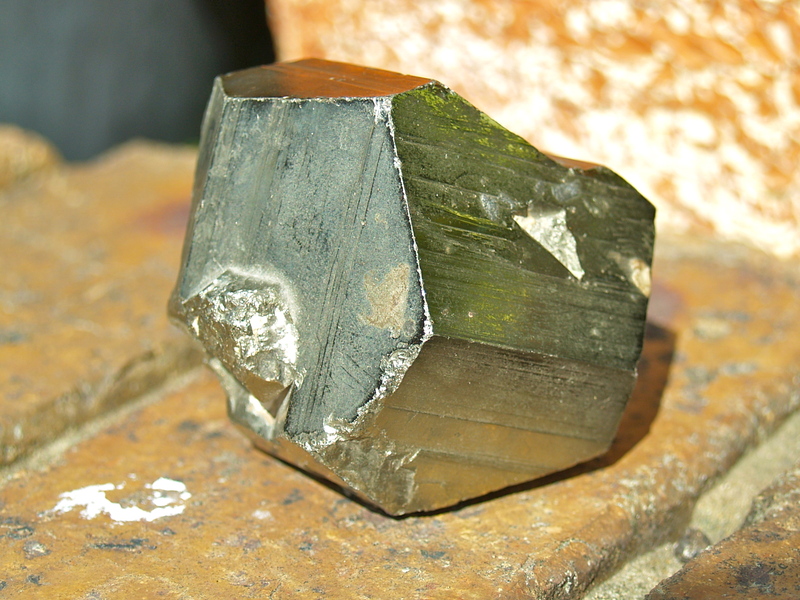 Pyrite is often found mixed in with other minerals. 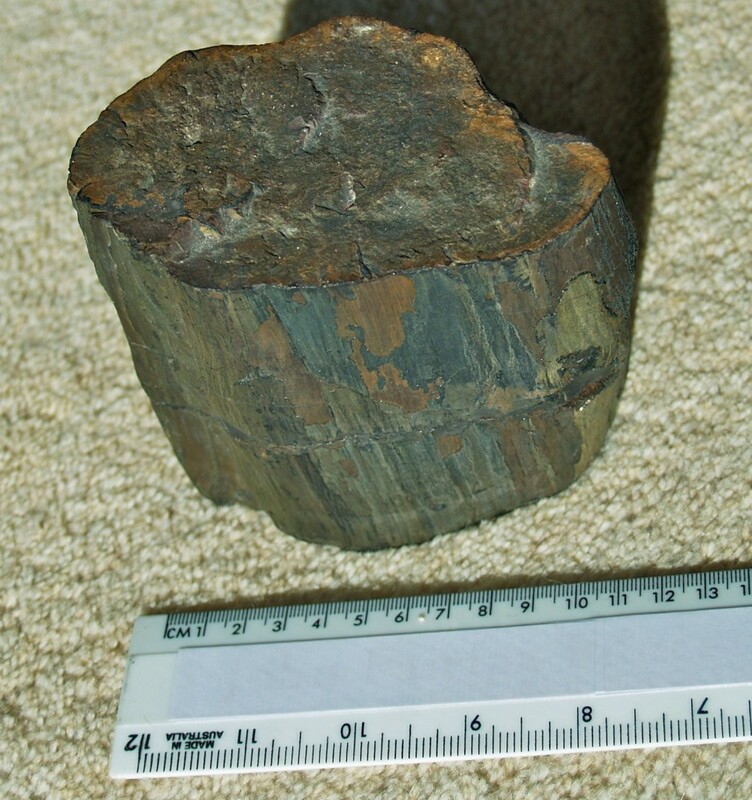 Below is a photo of lead/zinc ore from Tasmania. 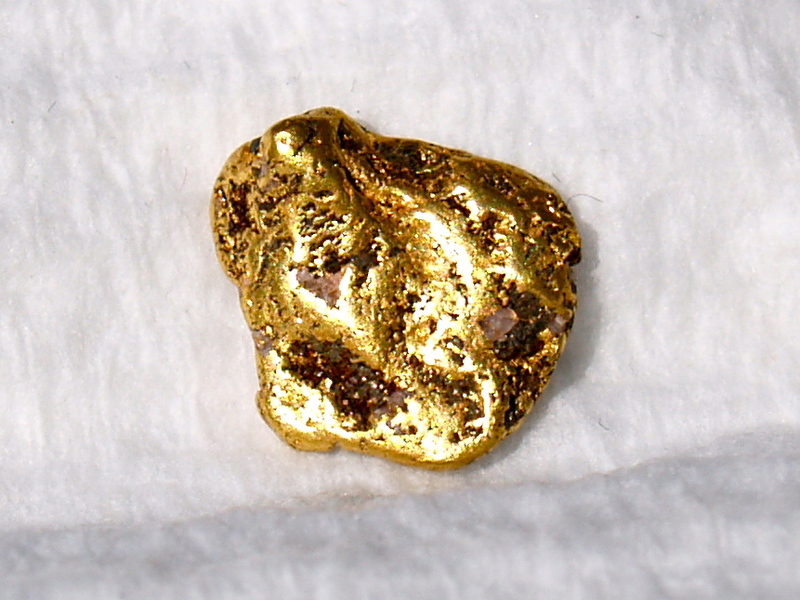 You can see the golden coloured pyrite at the top of the sample. 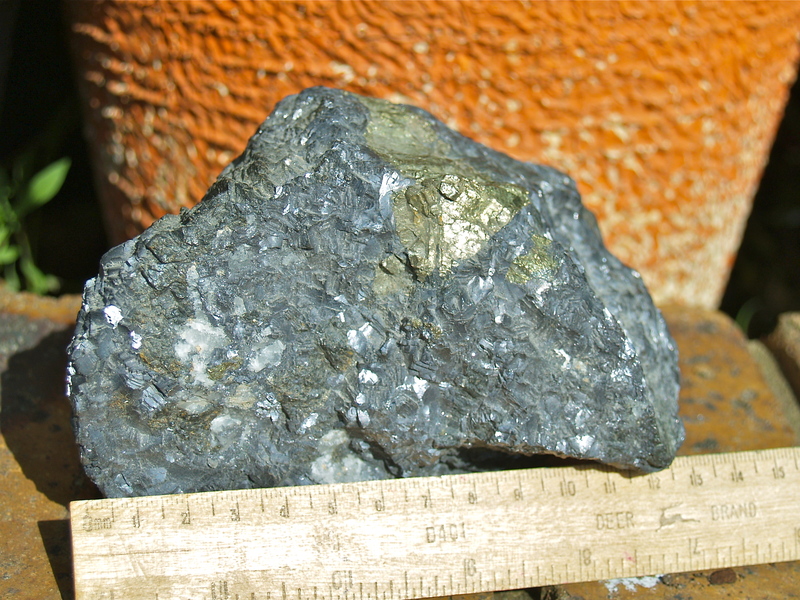 The sample weighs 2500g mainly because of its lead content. Posted in Animals, Australia, Dance, Drama and Performing, Geology, New Zealand, Plants, Rocks and Minerals, Volcanoes & Earthquakes on November 5, 2012 by rossmannell. In order to share some links on your post, I had to make a shorter extended post so they could be shared. New Zealand is on the edge of two tectonic plates. I believe there are many who think our world would be a better place without volcanoes and earthquakes but, in my post for 4KM and 4KJ, I wrote I find these events important for our survival. Our active world makes our planet a safer place to live. Mars is cold and inactive. It no longer has a strong magnetic field protecting it so, even if we could breathe its atmosphere, we would need protection from solar radiation. We all live on the thin, shaky bit called the crust. Posted in Geology, Volcanoes & Earthquakes on October 27, 2012 by rossmannell. Looking through some old 35mm slides, I found some interesting ones I had taken years ago. I decided to start scanning them. You are the first with whom I have shared these photos since they were taken. 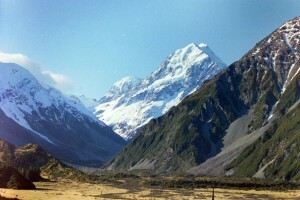 The volcanoes in New Zealand tend to normally be more ash volcanoes than lava volcanoes. I have seen magma thrown out in photos but I am not aware of any recent lava flows. The other crater is to the south of the trail and is shown below. Tourists aren’t allowed in that one. You need to be experienced rock climbers due to the dangerous slopes. Below is another slide I scanned with the first. It shows sulphur (sulfur) crystals and was taken near an active vent. Sulphur crystals break down when exposed to water but near a vent, they are kept warm and dry and keep their crystal shine. 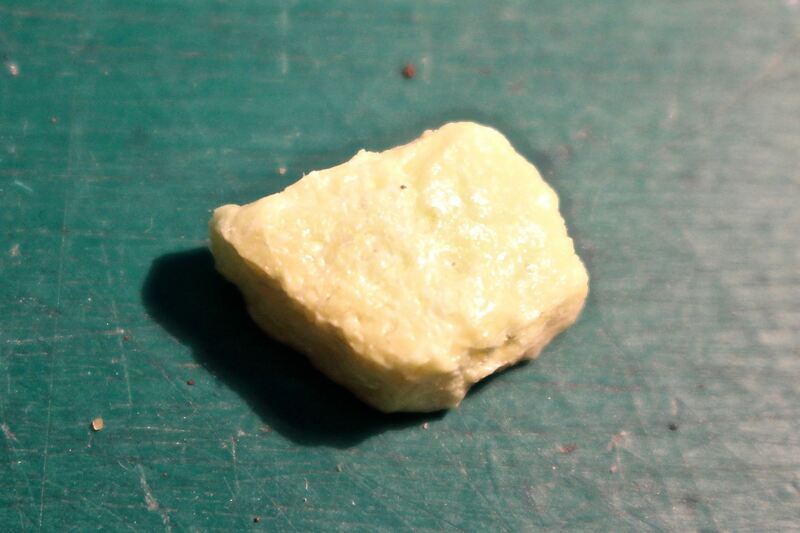 I have a sample of sulphur crystals in my collection. It has spent 20 years in a clear perspex water-tight container so it keeps its shine. In 1996, I was able to travel to Hawaii when my brother won a trip. We also flew down to The Big Island (the real island of Hawaii). 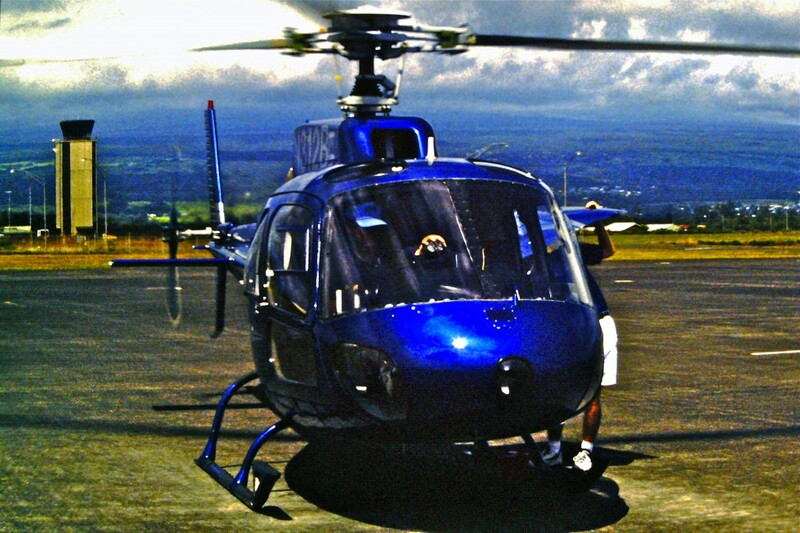 I took a chance to take a helicopter ride over the very active Kilaeua volcano. 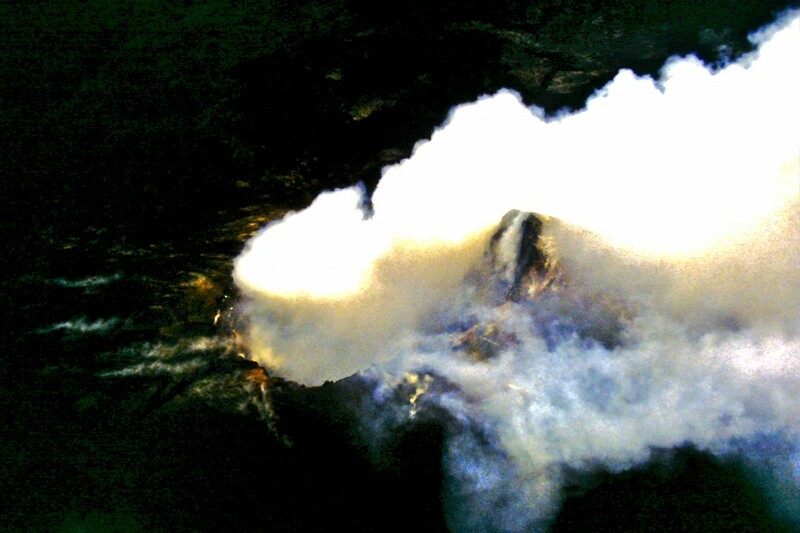 In the photo below, we can see gases escaping from a fumarole on the side of Kilaeua. 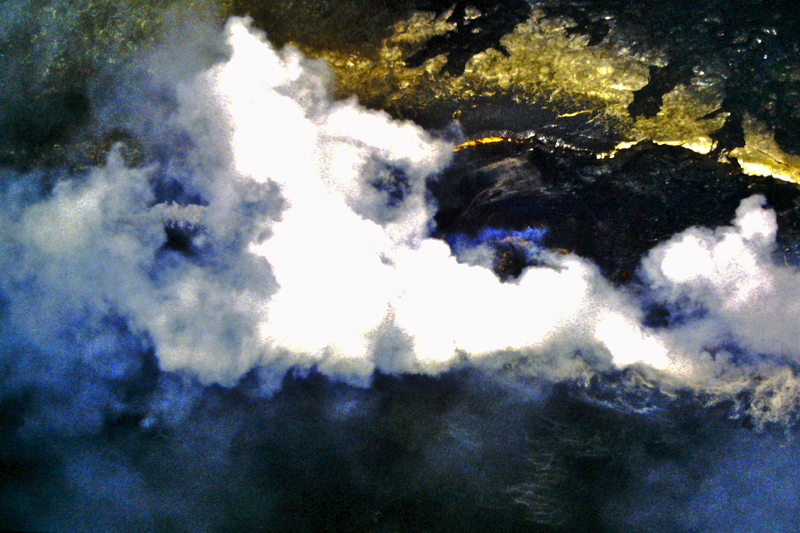 We were able to fly nearby and peer down to see lava flowing below. At this point the lava was flowing below ground through lava tubes. These underground lava tunnels are formed when lava cools at the surface but stays liquid inside the tube. When the lava flow stops, long tubes are left. Below is a photo of an old lava tube now with access for tourists. When the lava flows out of the tube and into the sea, the seawater boils and steam rises. In the photo below, you can see steam rising as lava hits the water. Look carefully and you can see the yellow glow of the lava as it emerges from tubes at the water's edge near the centre top of the photo. Have you ever wondered what happens to trees when lava flows above the ground and around trees? In the aerial photo below, you can see finger-like structures jutting above the ground. 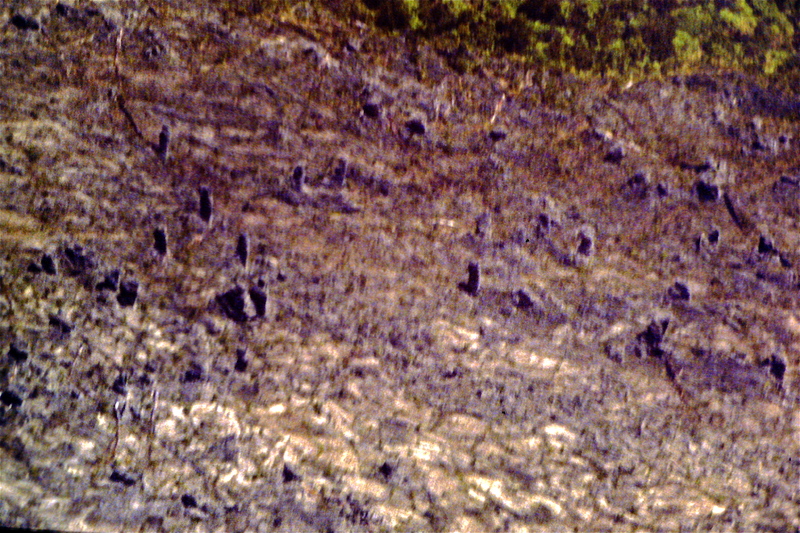 Lava had surrounded trees. The trees had burned away and hollow tubes were left to mark where trees had been. 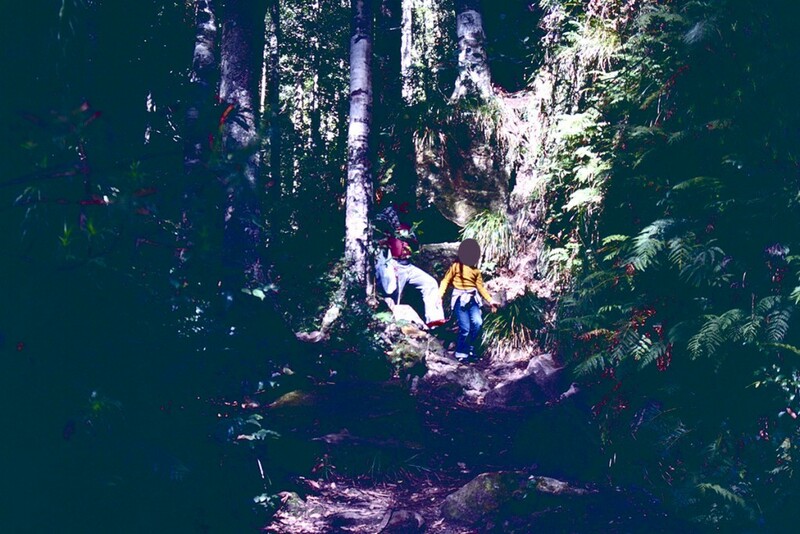 There are walks on Kilaeua. The photo below was taken on a walk. 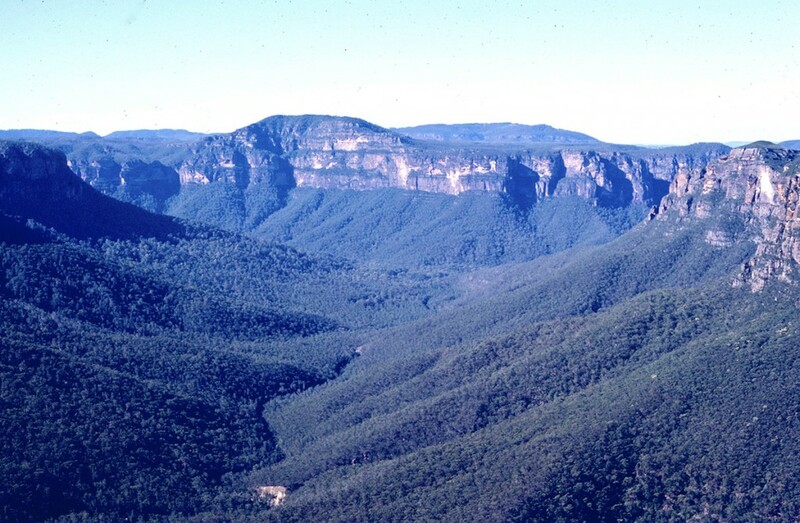 It shows a large caldera. 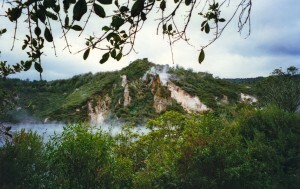 Calderas are formed by the collapse of land following a volcanic eruption. 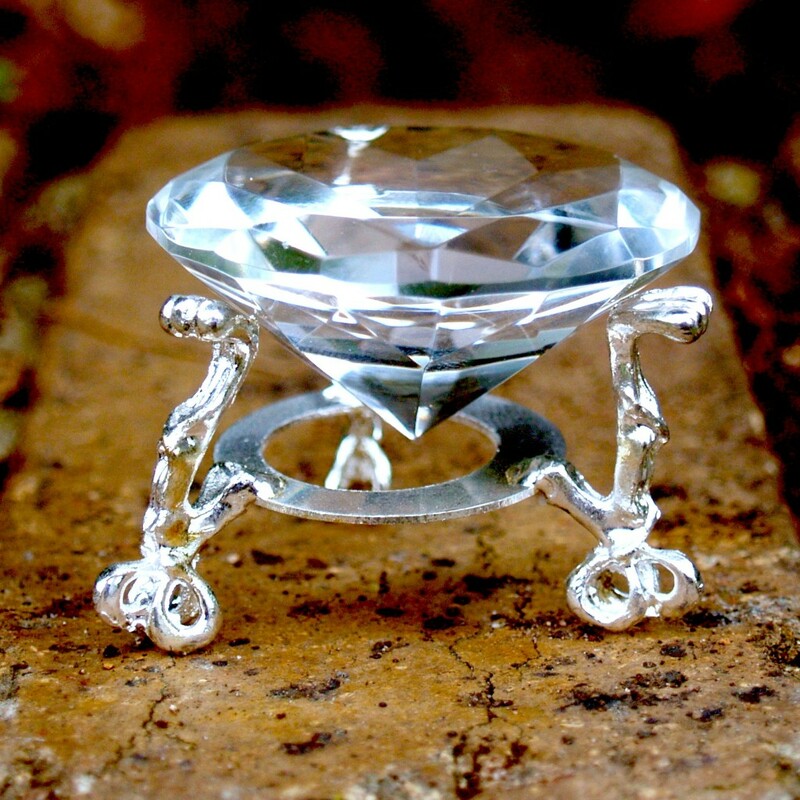 Can you imagine it once being filled with hot glowing, bubbling magma? 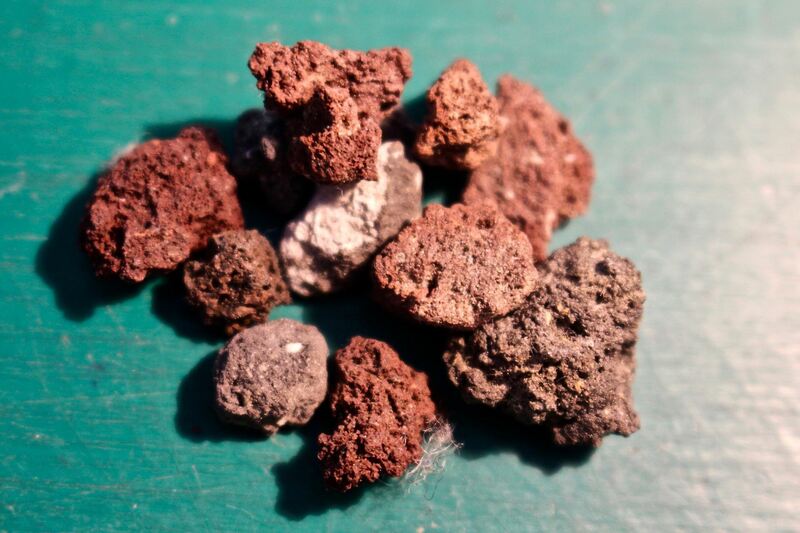 Now for some new photos I took today to show other volcano associated rocks from my collection. As lava cools, flows might crack or gases may be caught inside the cooled lava both leaving spaces. In time water carrying dissolved minerals can seep into the spaces, the water leaving the minerals behind as it evaporated. Here are some photos of what can result. 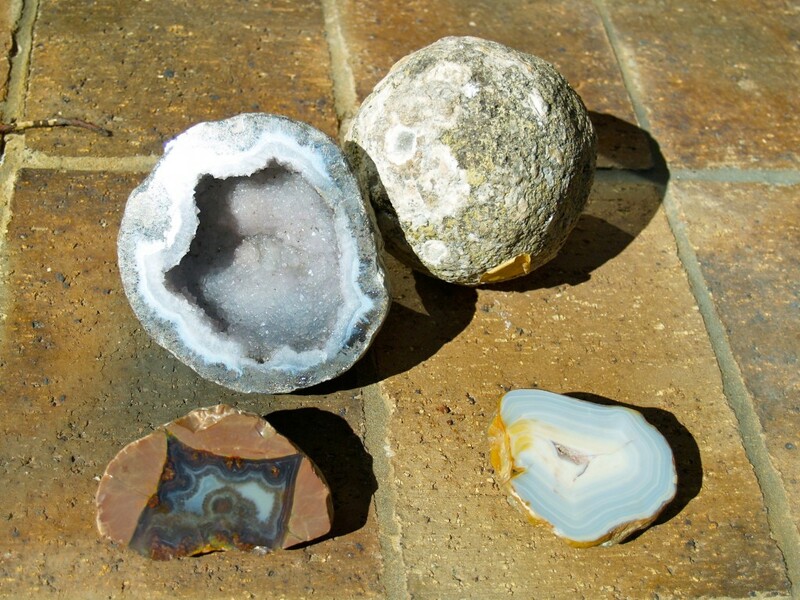 These are photos of thunder eggs and geodes. 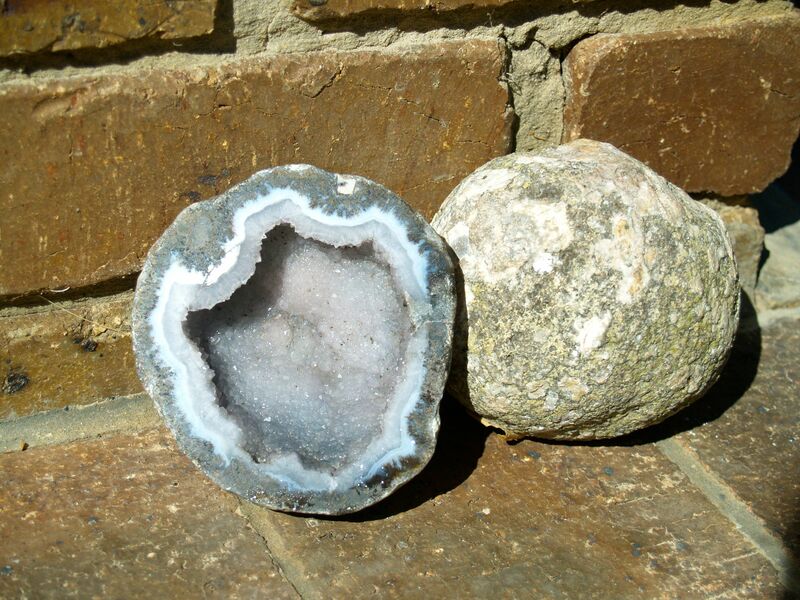 While not all geodes (a geode is a rock with a space in it) are formed in association with volcanoes, these were. The next one is a favourite. It is only about 10cm (4") across and shows amethyst crystals inside. 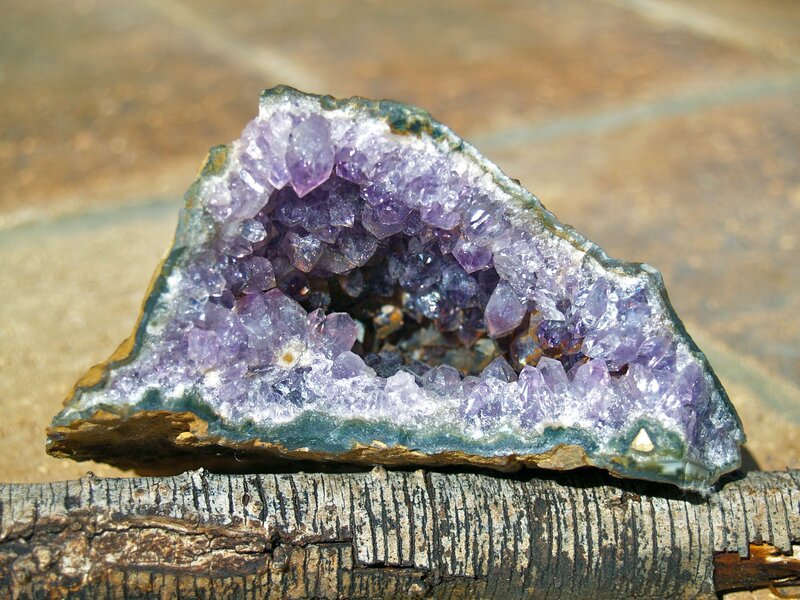 Amethyst is a form of quartz. Now one last photo I had taken along a highway about eleven kilometres (about 7 miles) from my home. It is a rock cutting. 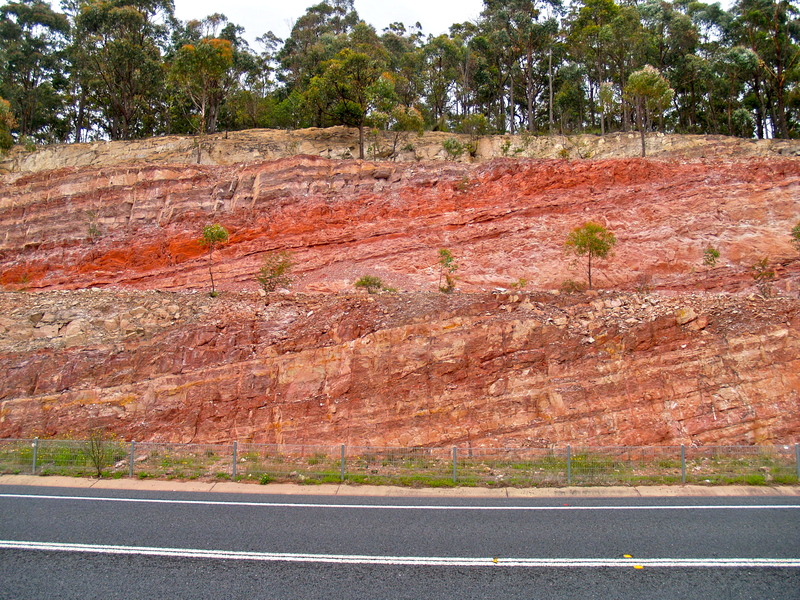 Look at the coloured layers of rock. My area was, millions of years ago, a place with a number of volcanoes. Now imagine a massive volcanic eruption from beneath shattering these layers of rocks into small pieces (scree also known as talus). You can see why scree can have many colours. 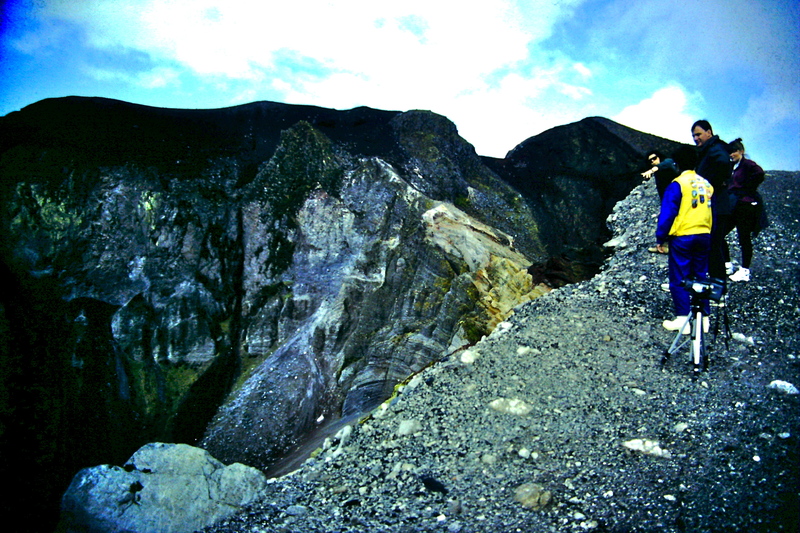 Scree is not only found in and around volcanoes like Mt. Tarawera, it can be found anywhere where small fragments of rock break away from larger rocks such as cliffs and mountains. Posted in Geology, Rocks and Minerals, Volcanoes & Earthquakes on October 14, 2012 by rossmannell.